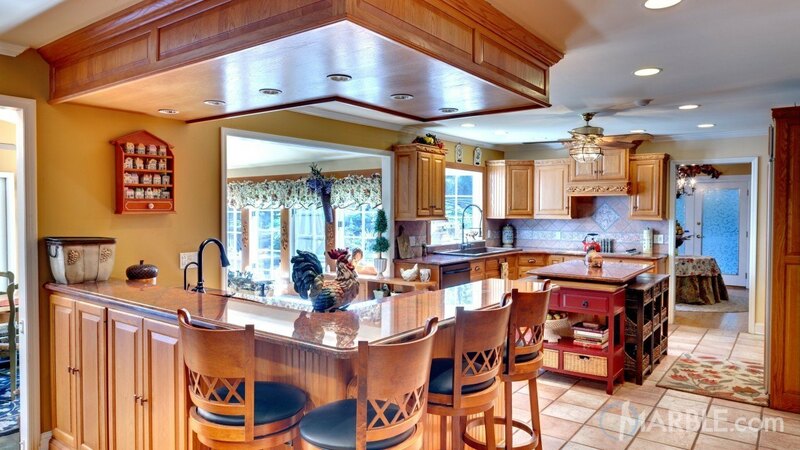 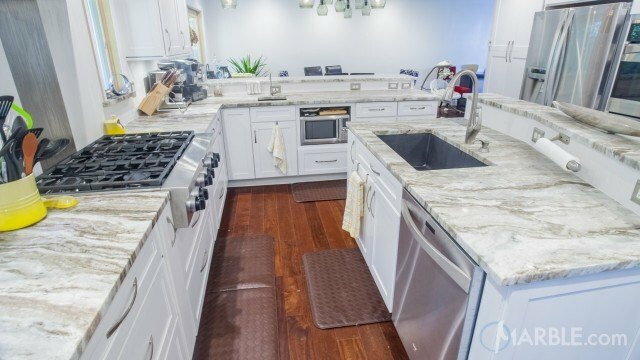 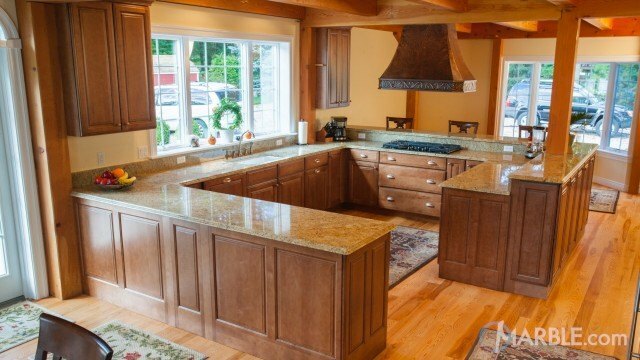 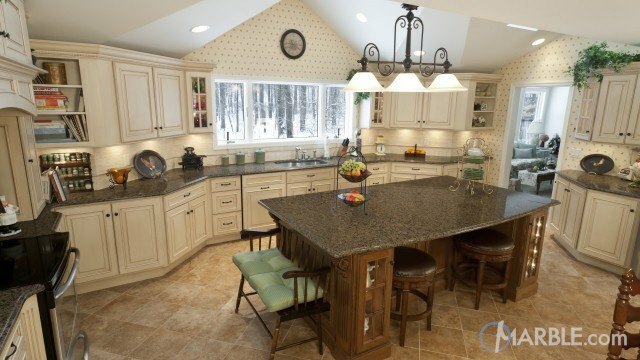 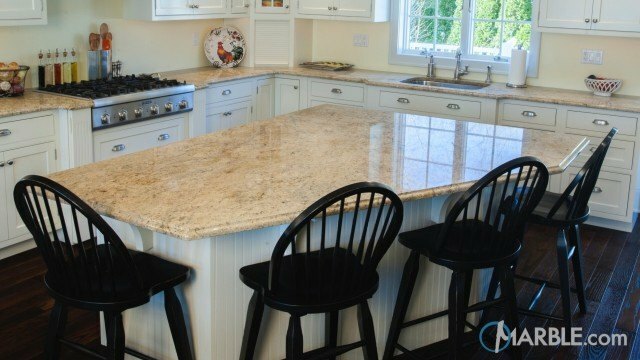 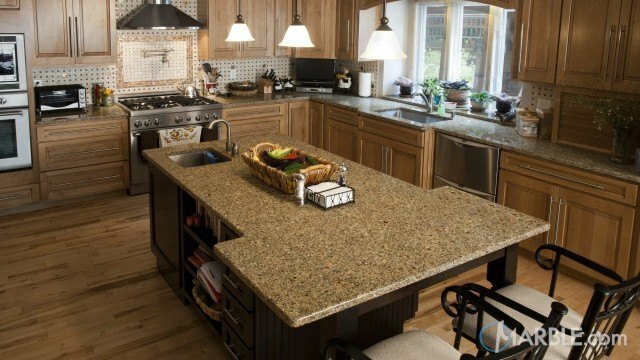 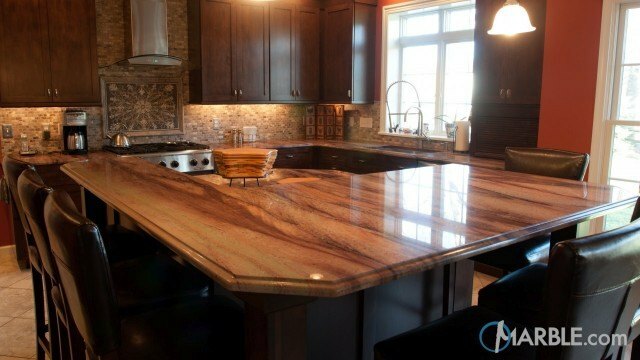 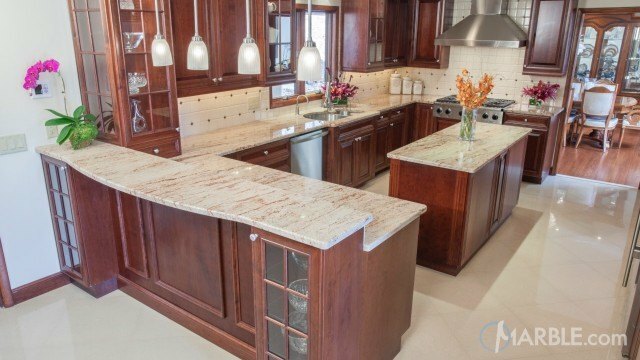 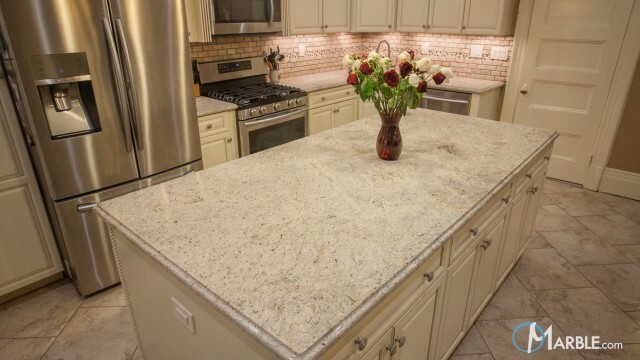 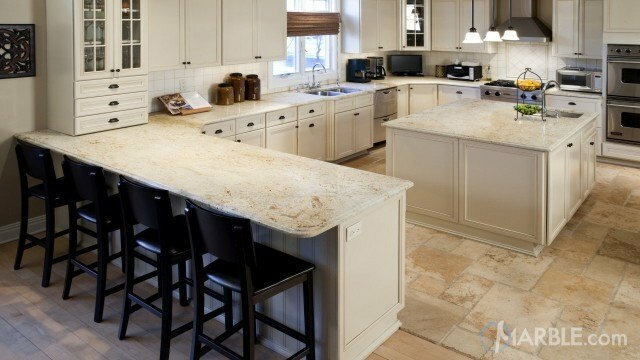 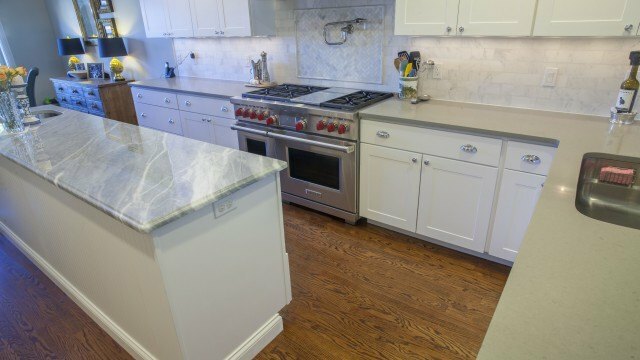 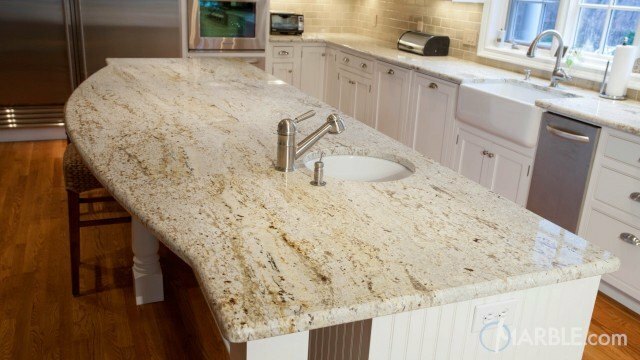 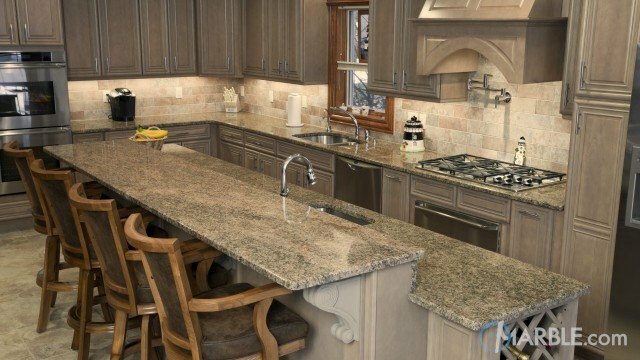 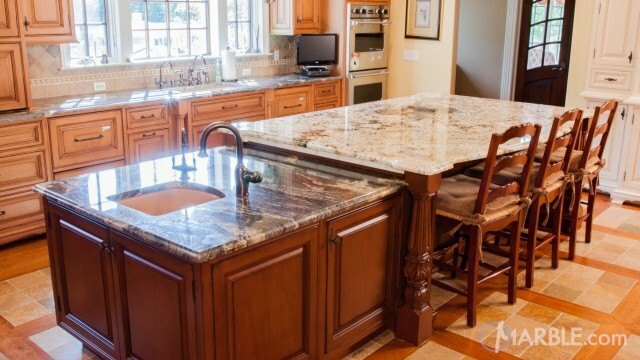 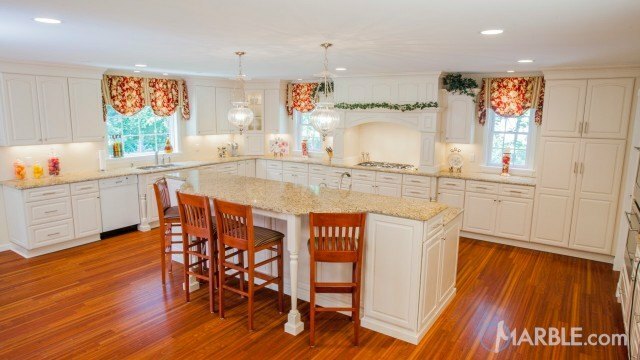 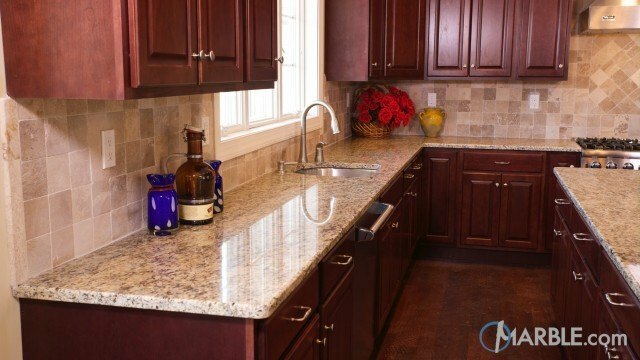 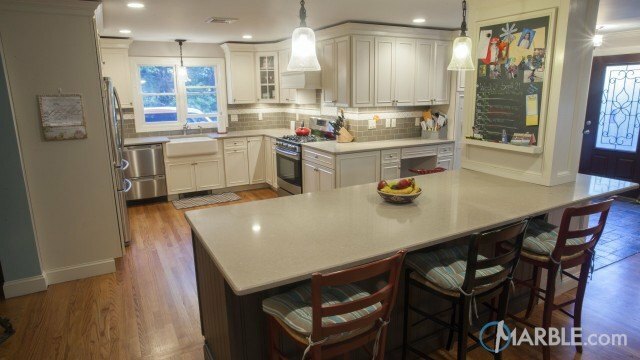 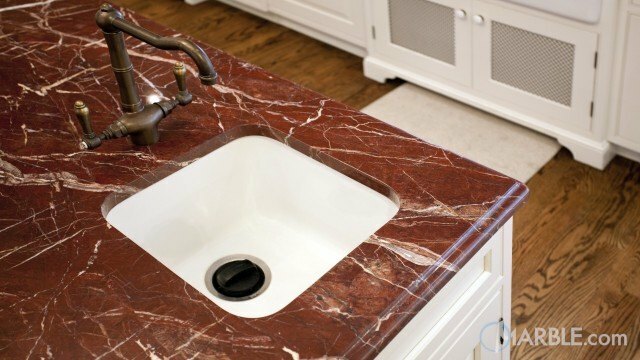 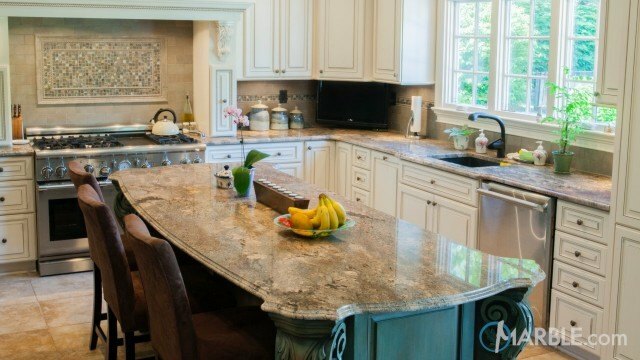 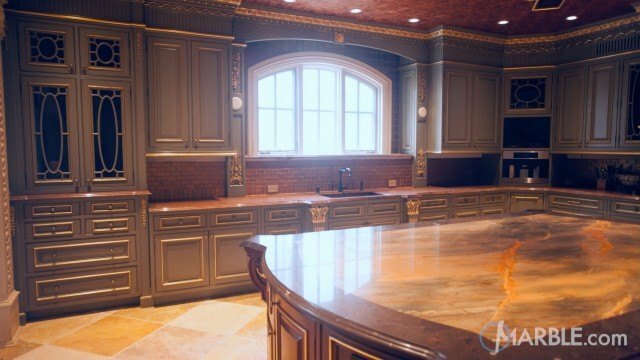 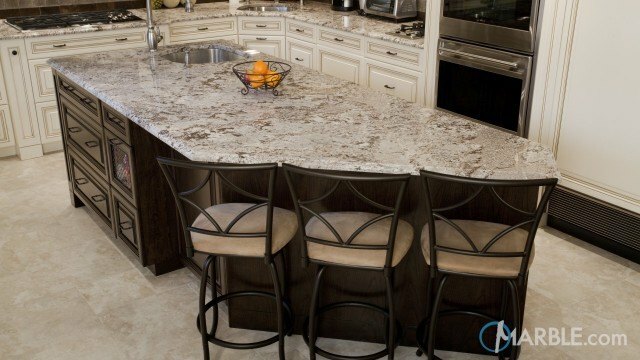 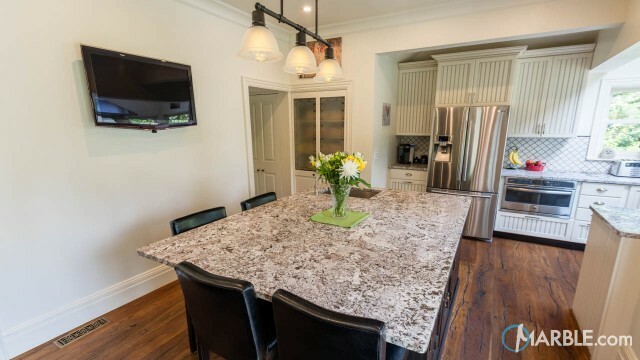 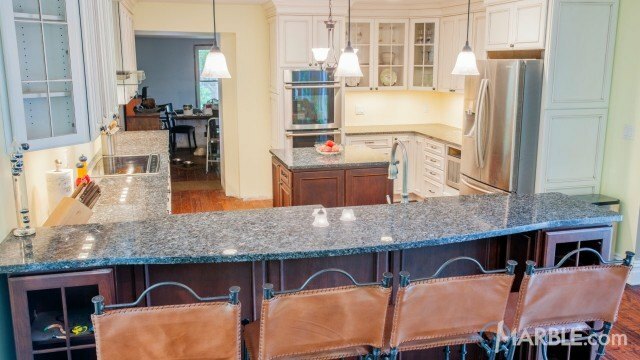 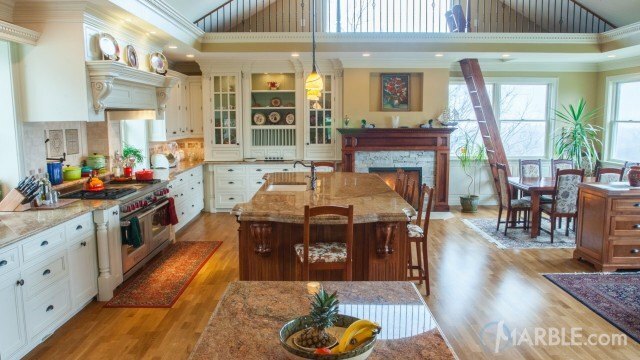 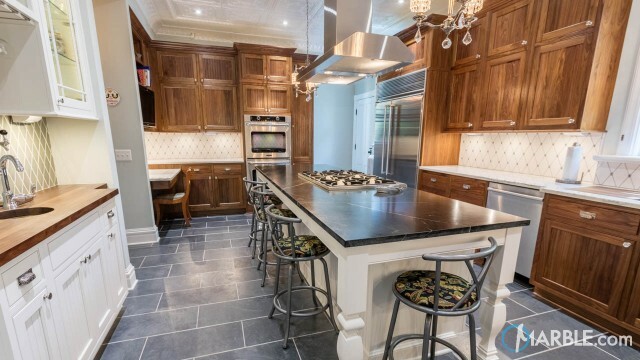 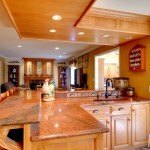 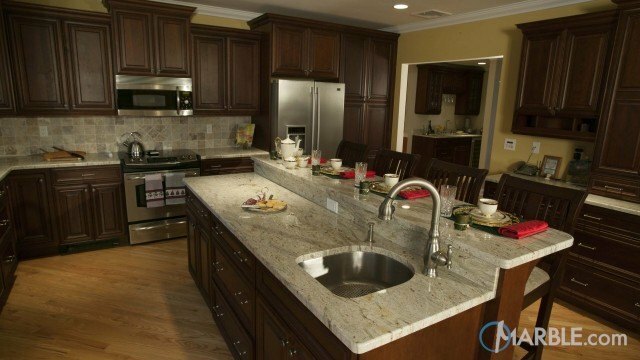 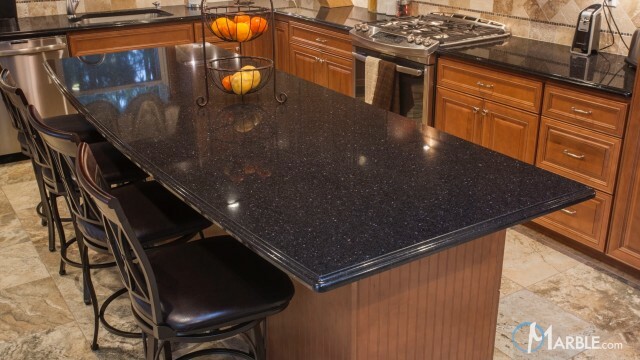 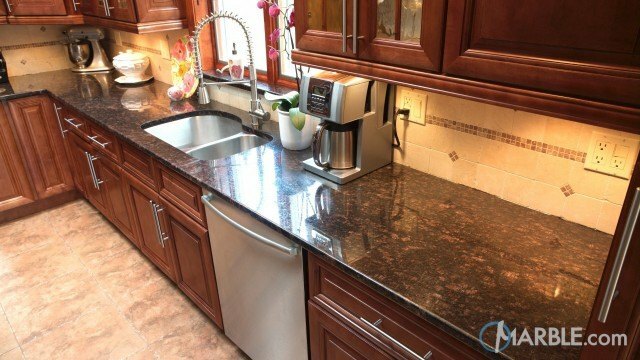 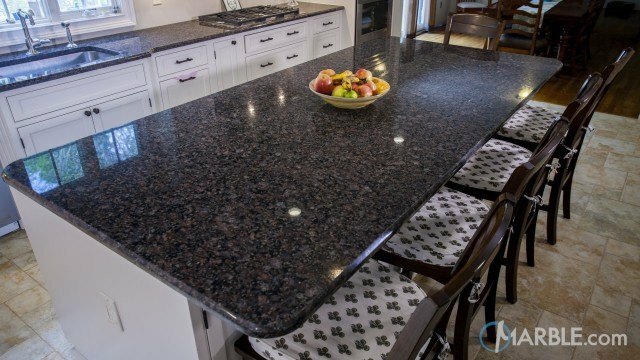 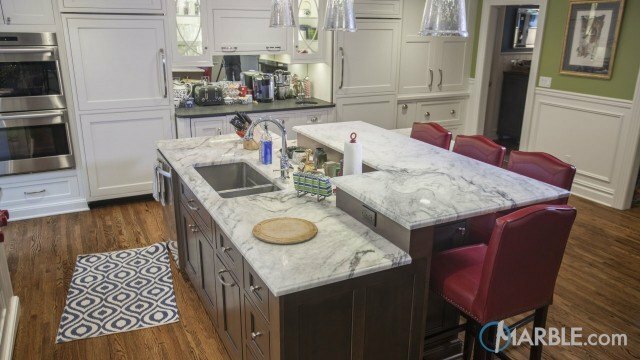 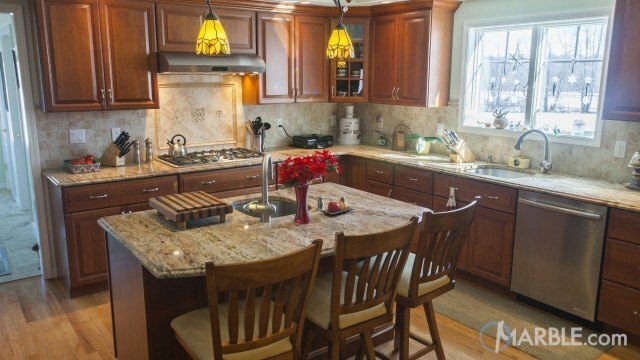 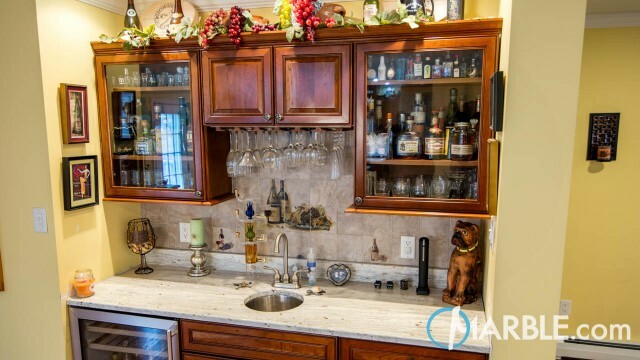 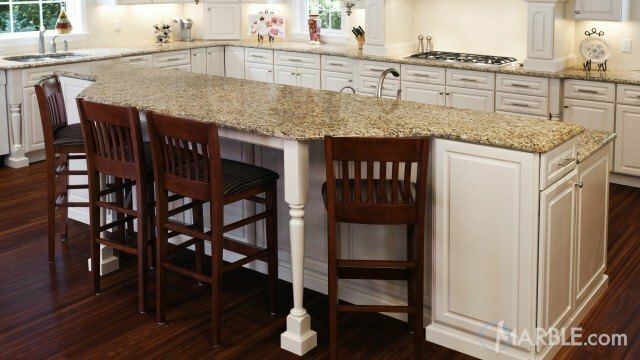 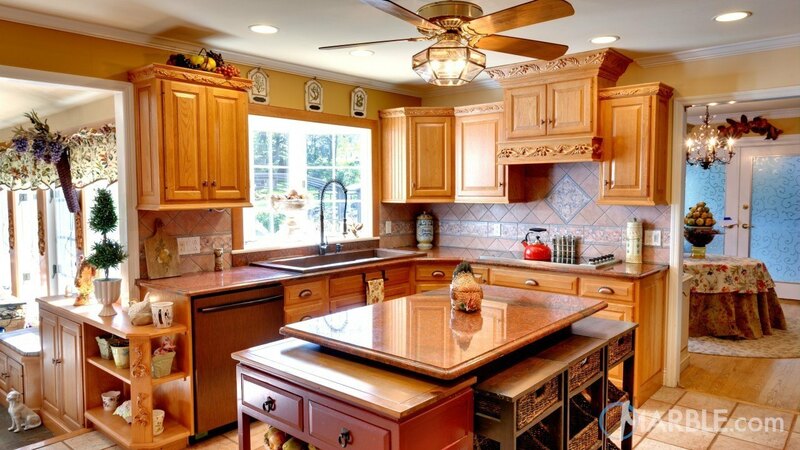 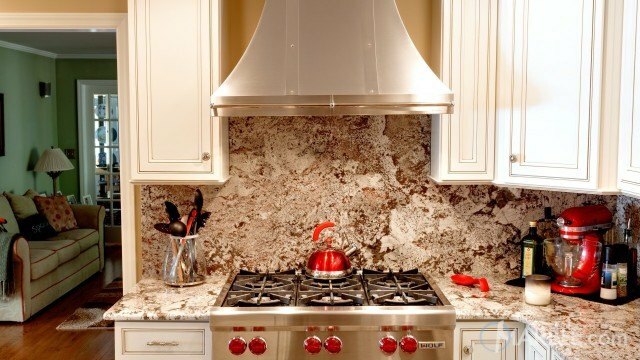 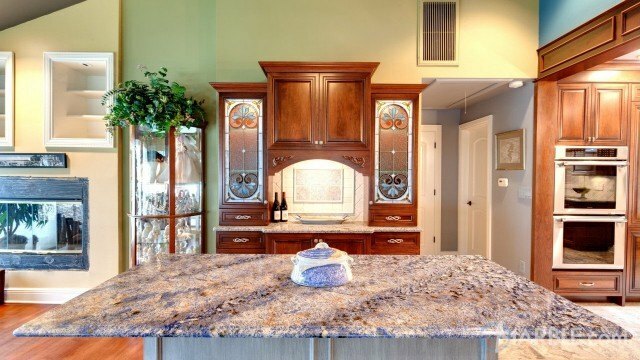 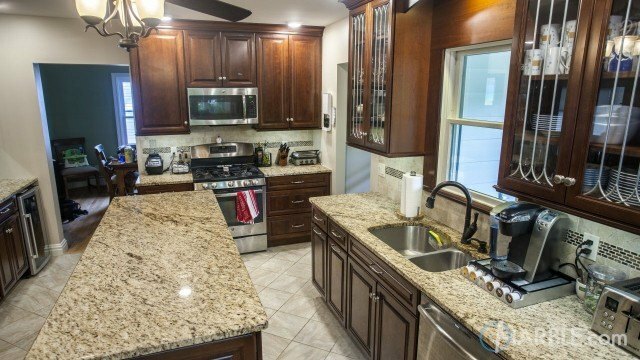 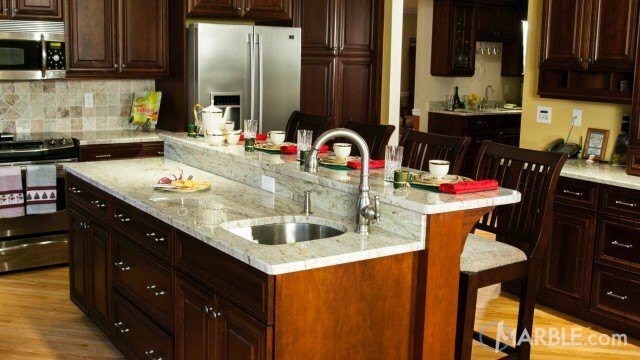 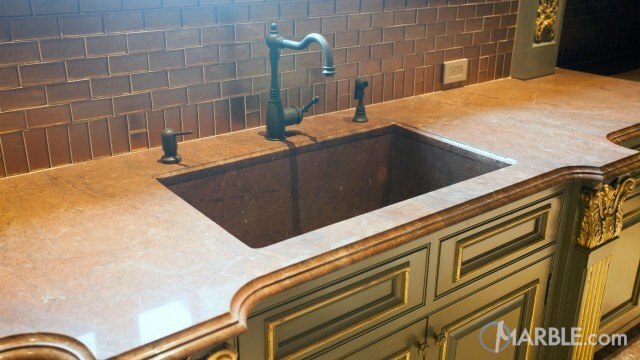 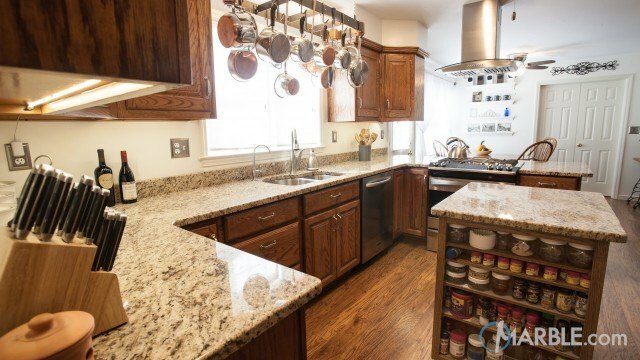 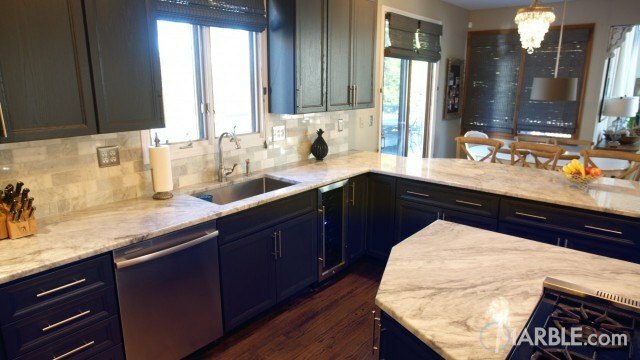 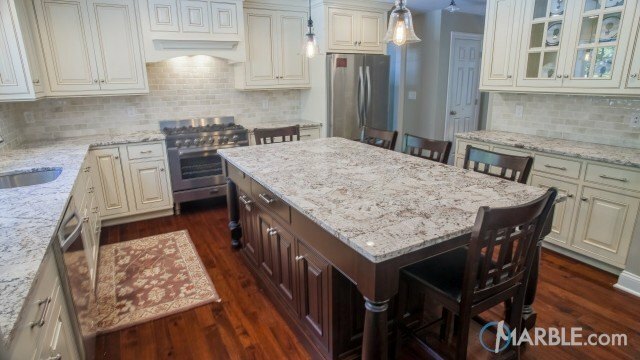 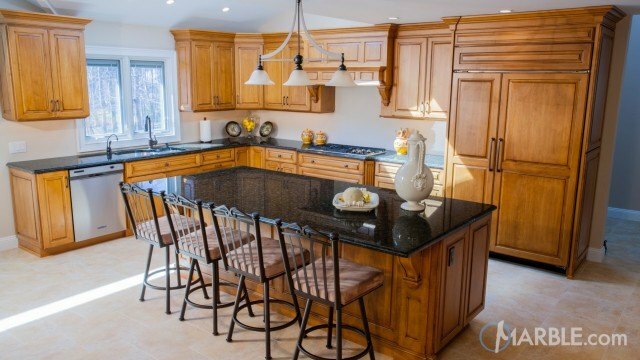 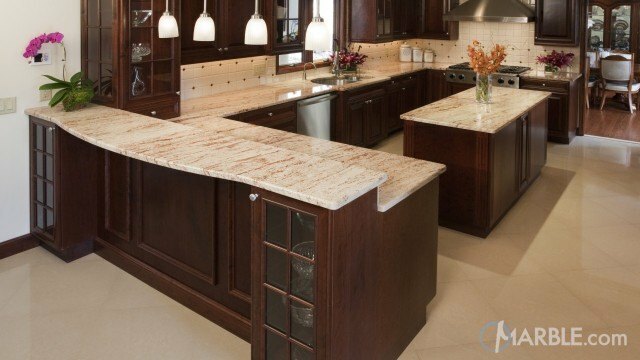 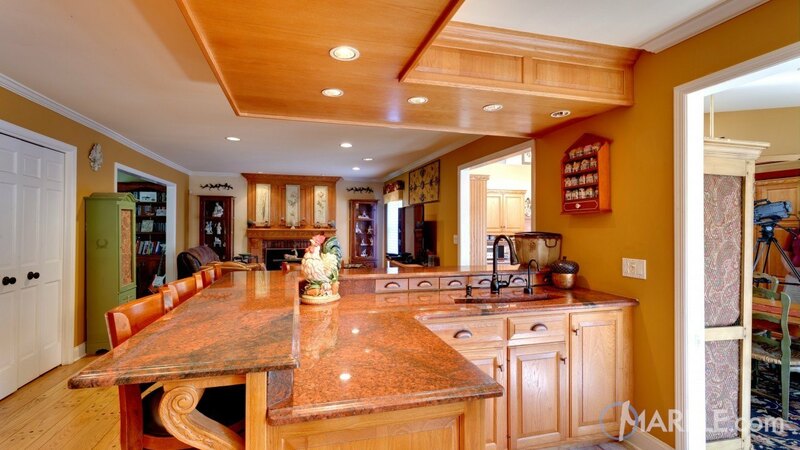 Red Dragon granite counter tops with an Ogee Edge adds a country flair to this kitchen. 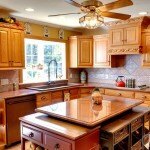 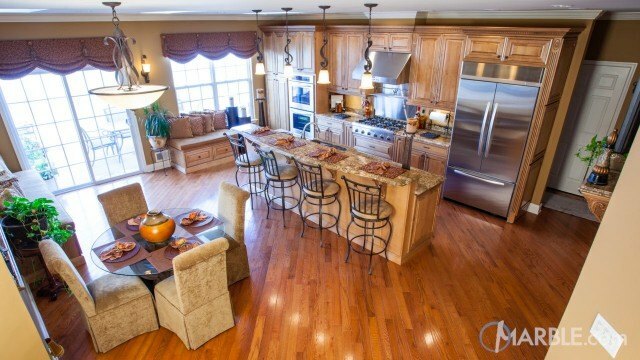 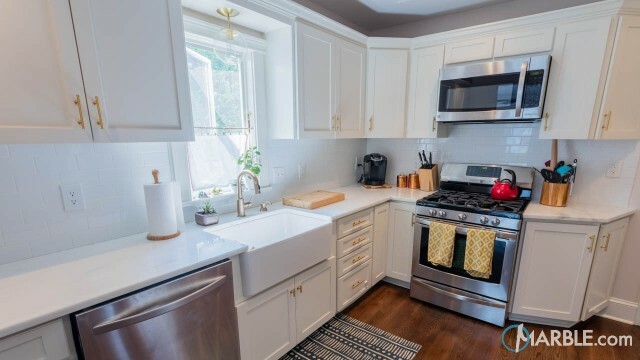 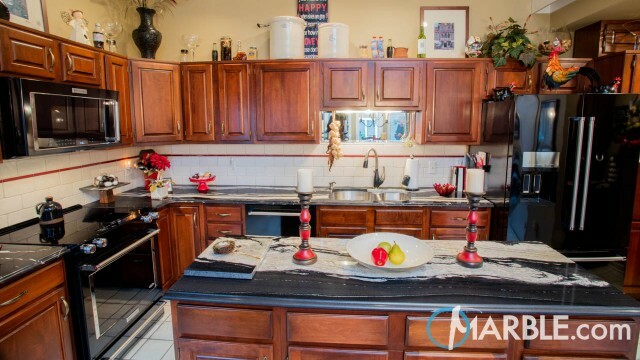 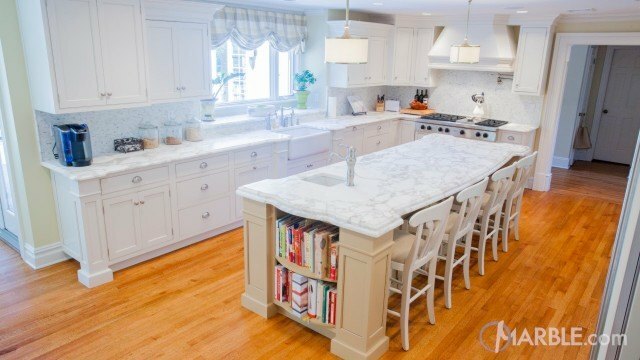 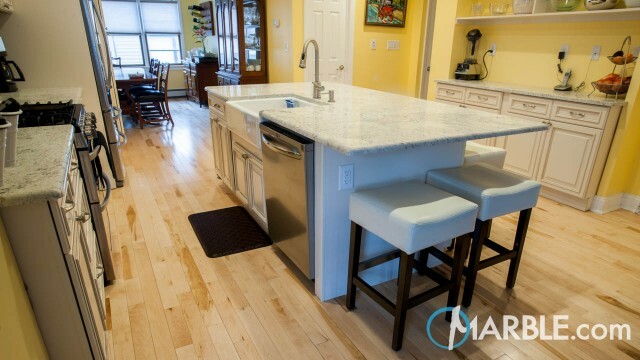 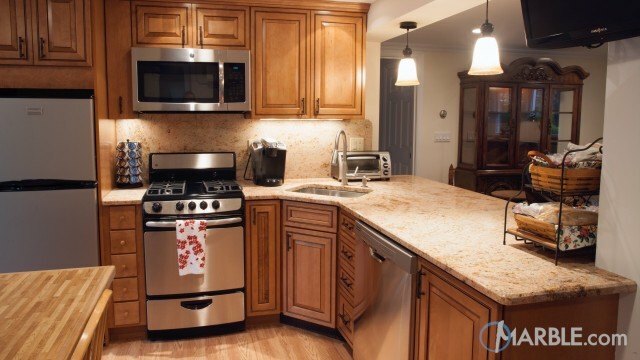 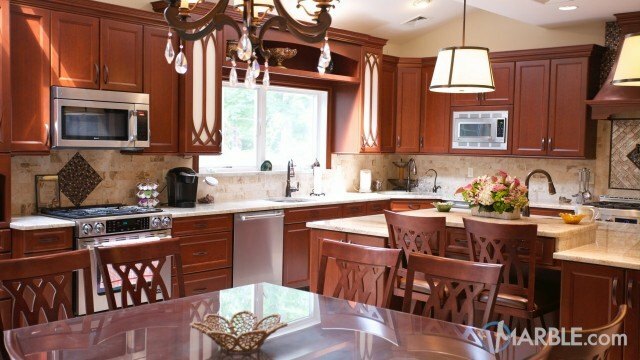 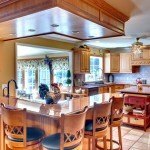 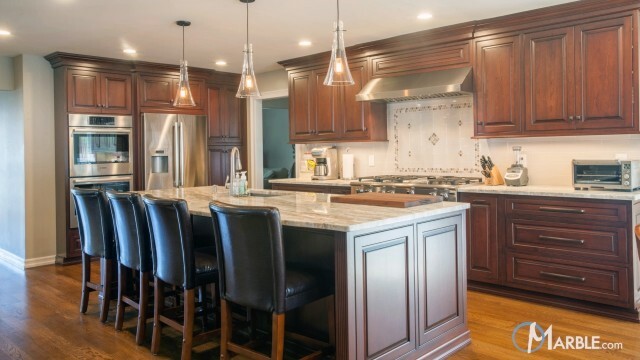 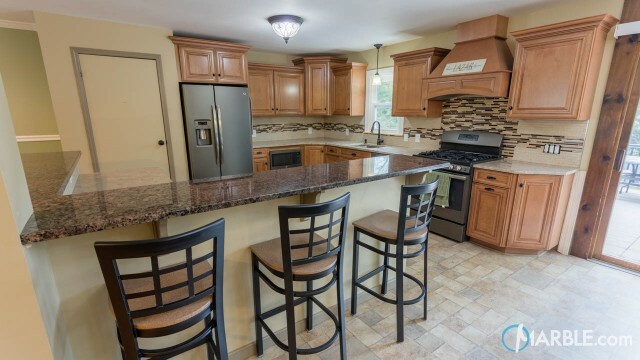 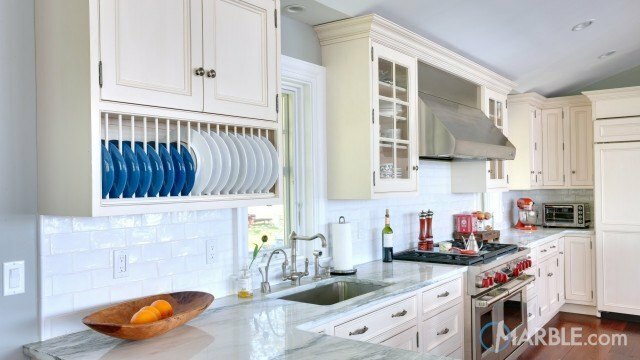 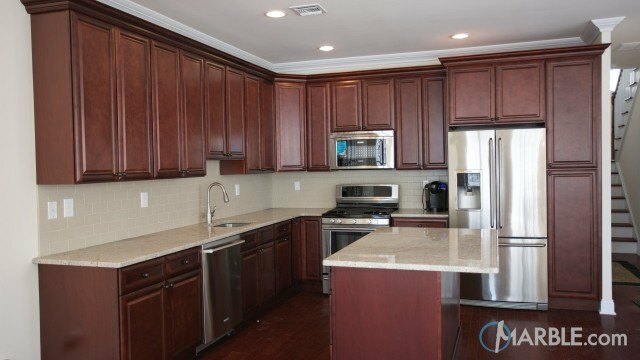 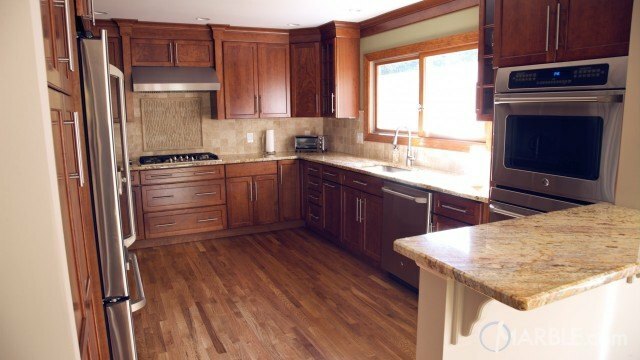 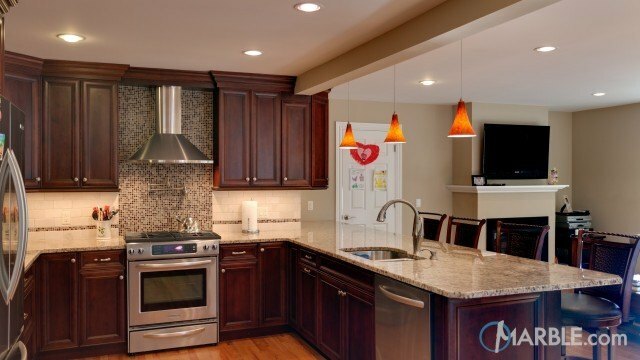 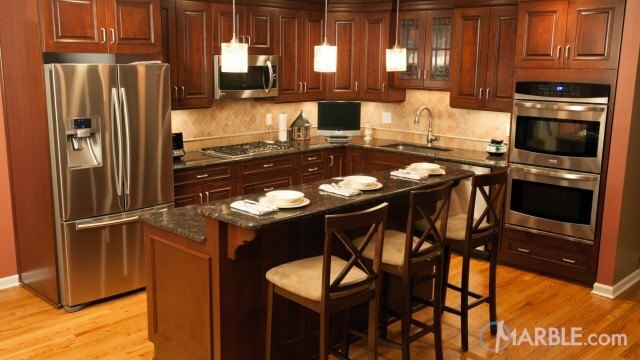 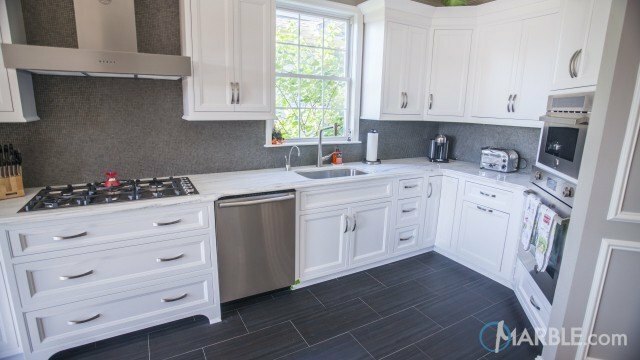 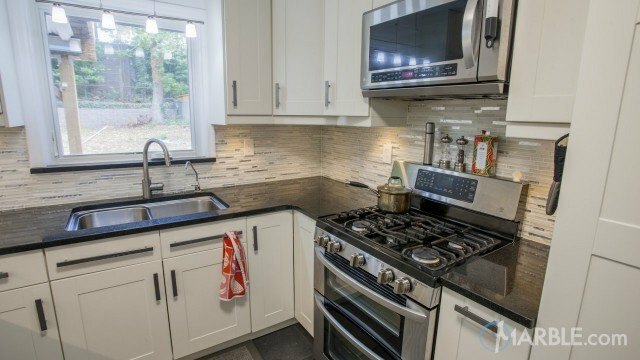 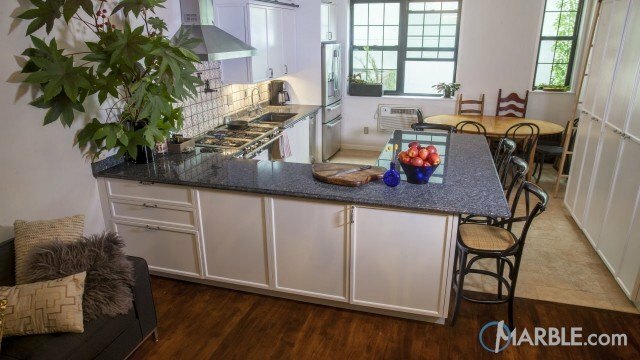 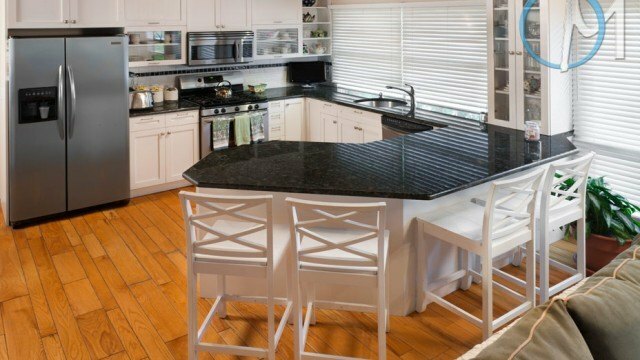 The wicker baskets give the kitchen a cozy vibe and red accessories blend the counter tops and cabinets together. 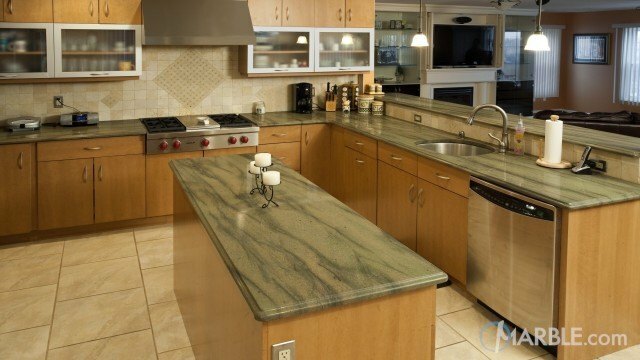 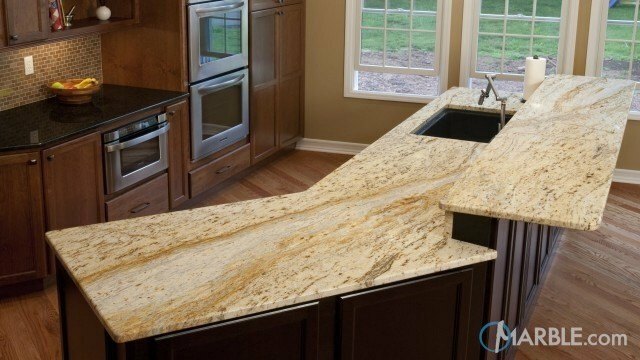 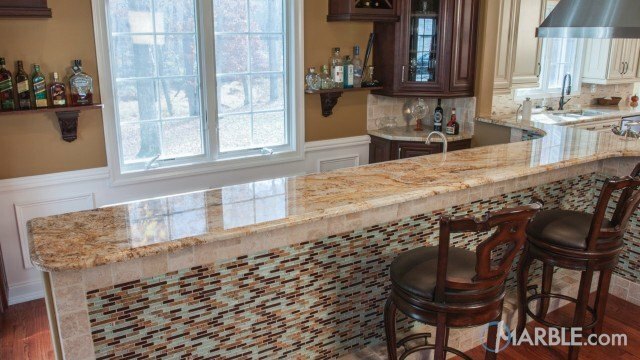 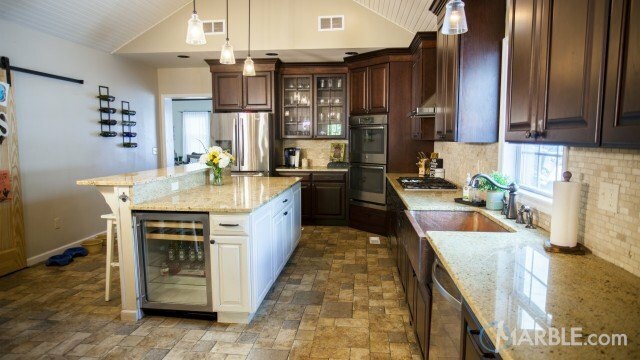 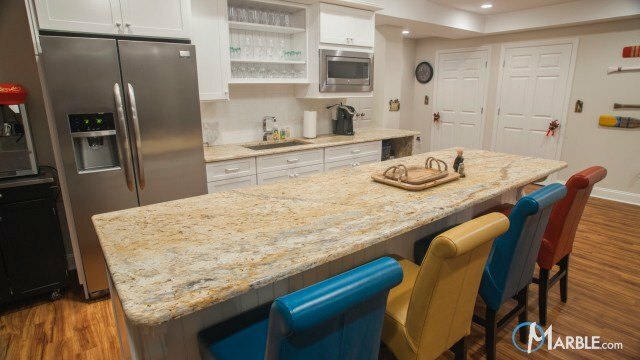 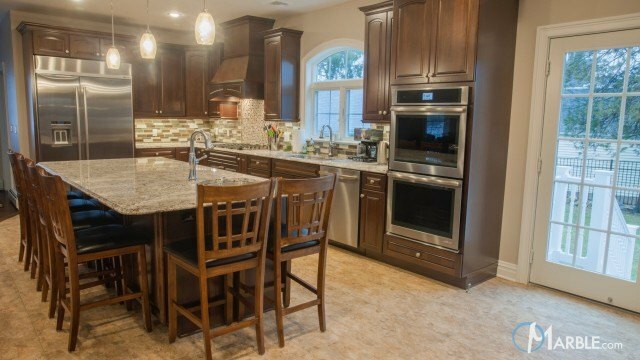 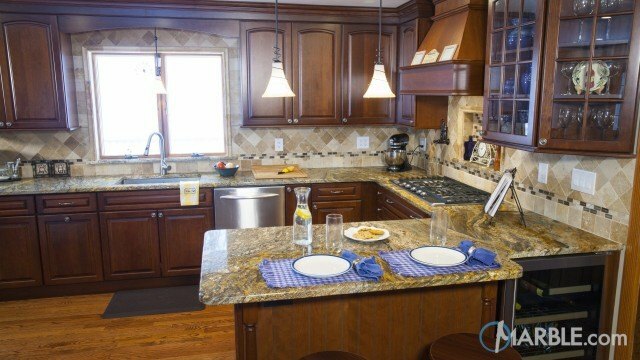 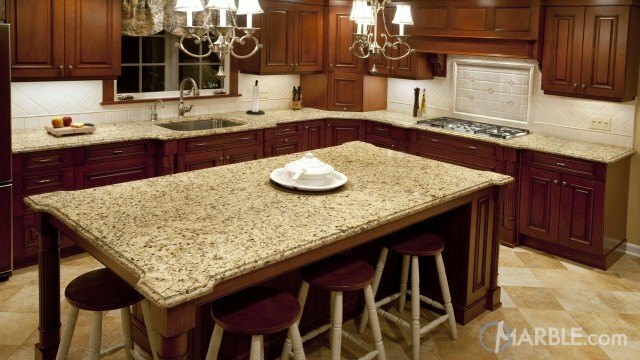 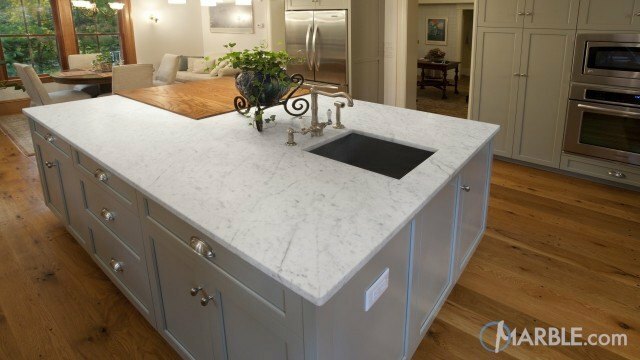 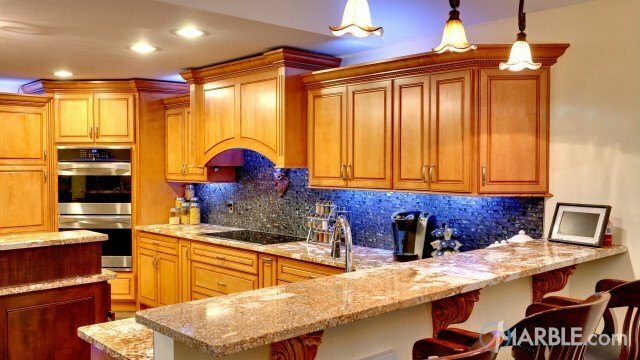 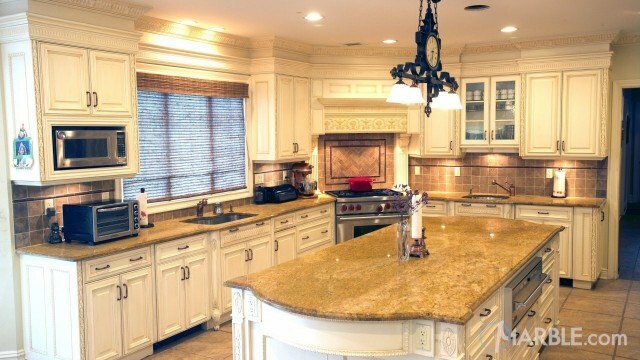 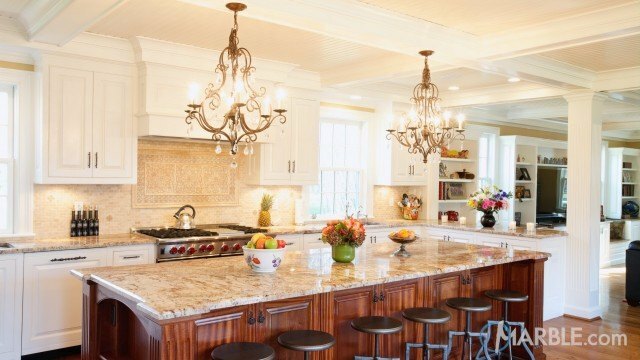 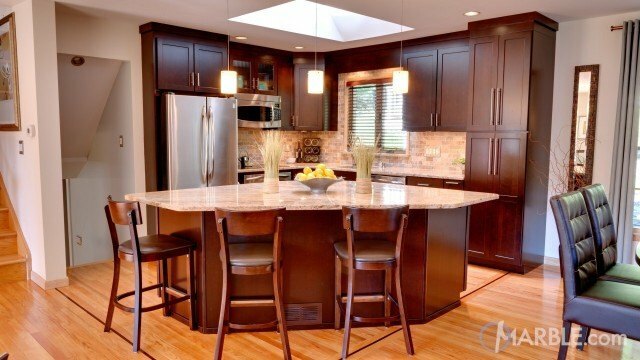 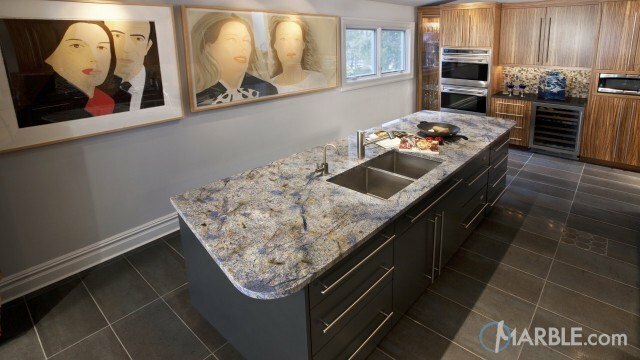 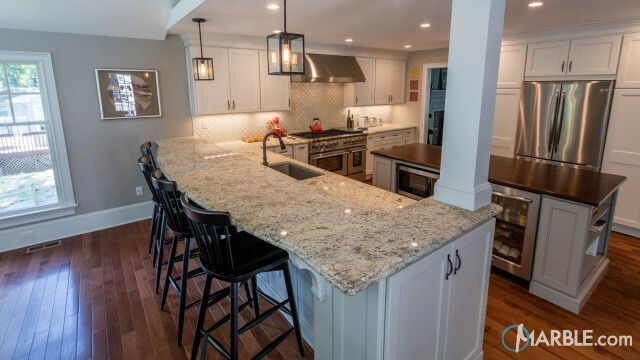 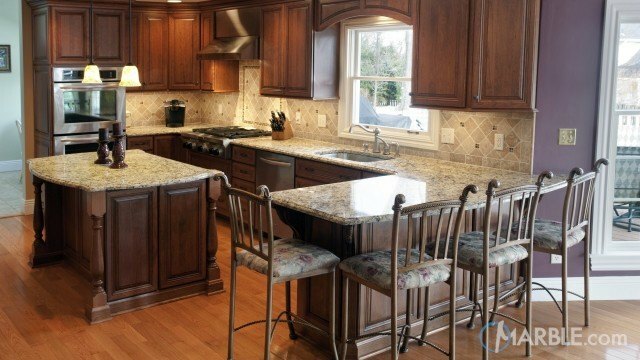 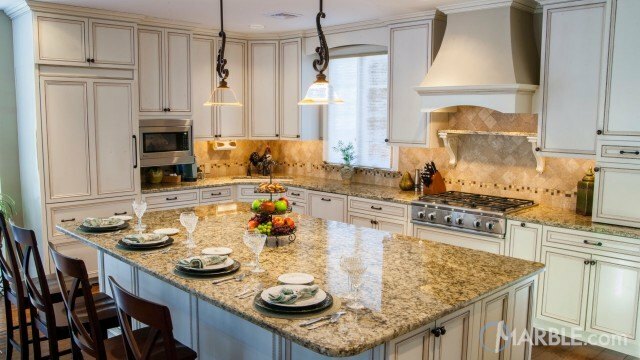 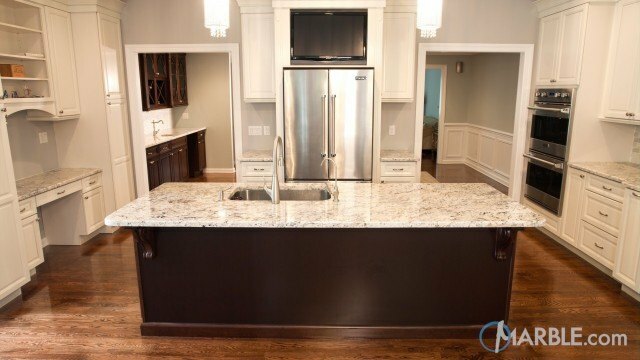 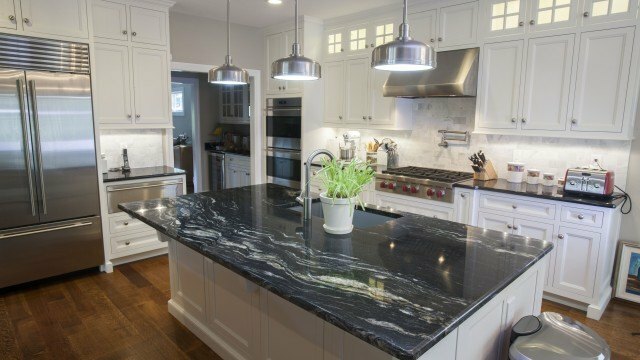 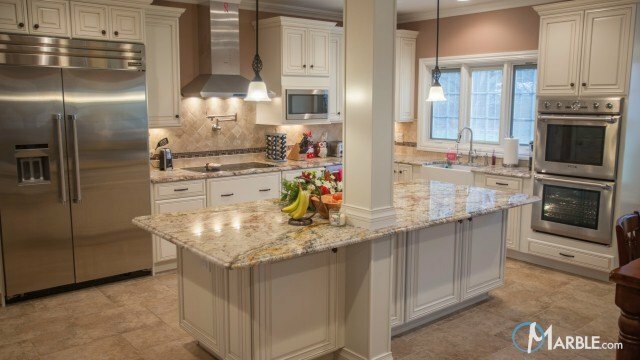 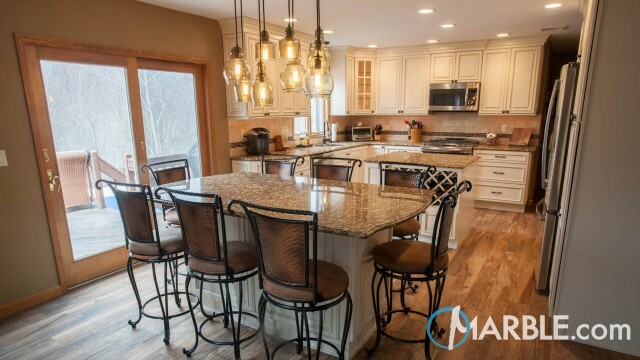 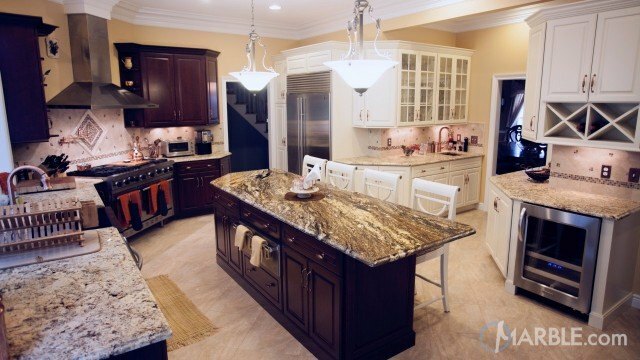 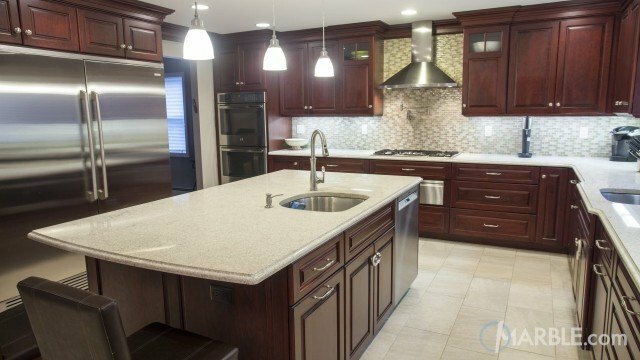 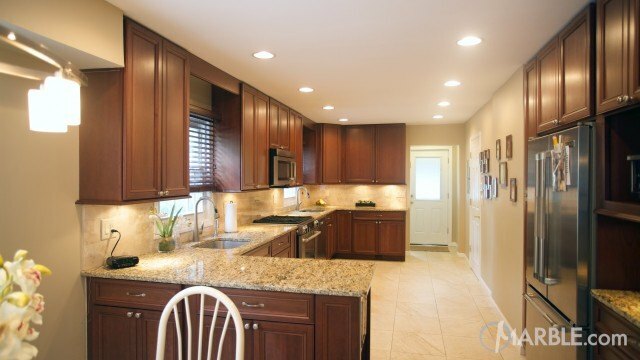 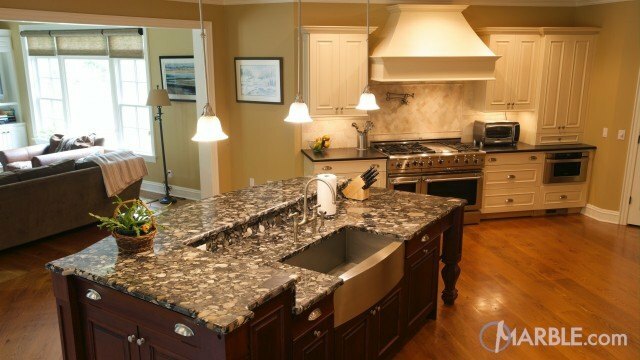 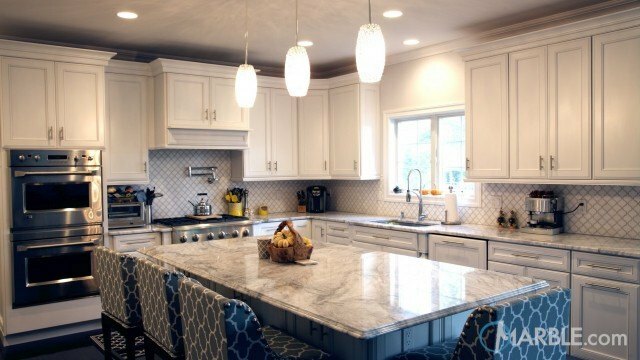 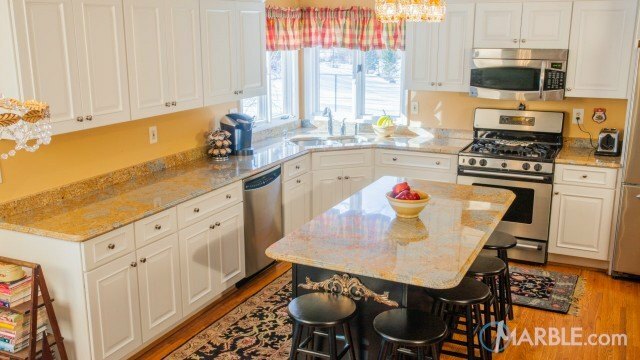 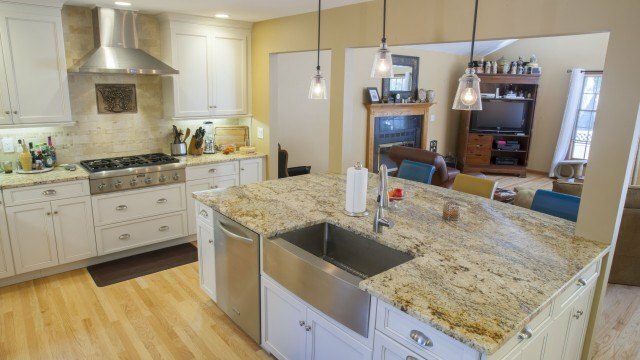 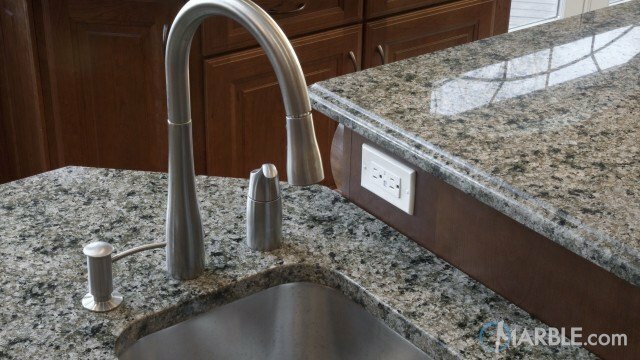 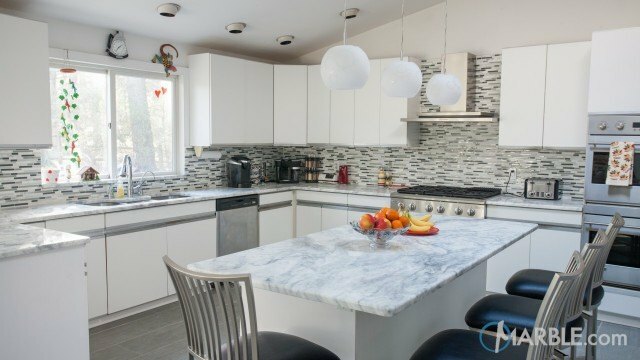 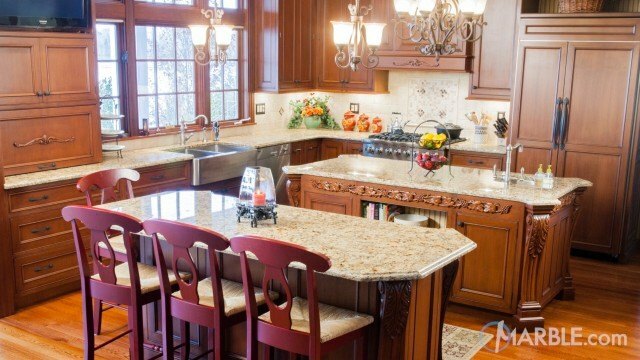 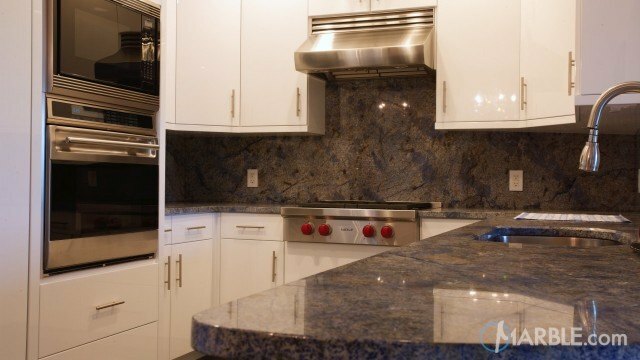 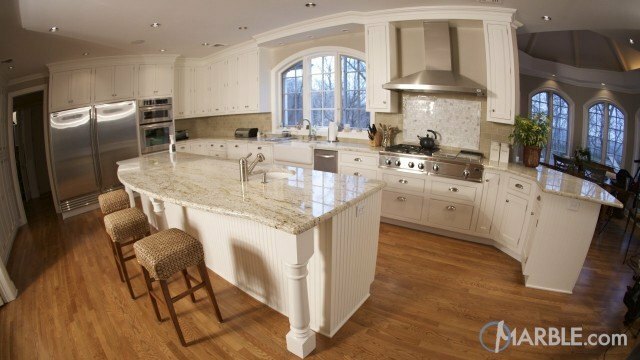 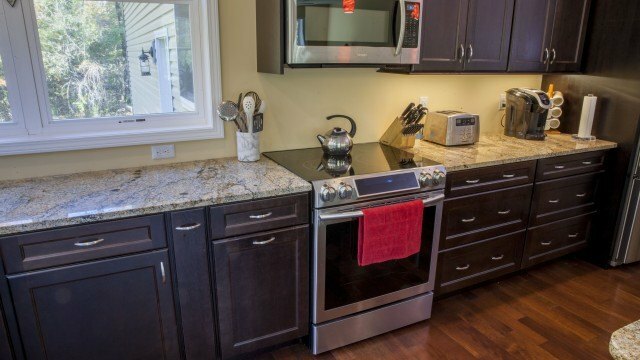 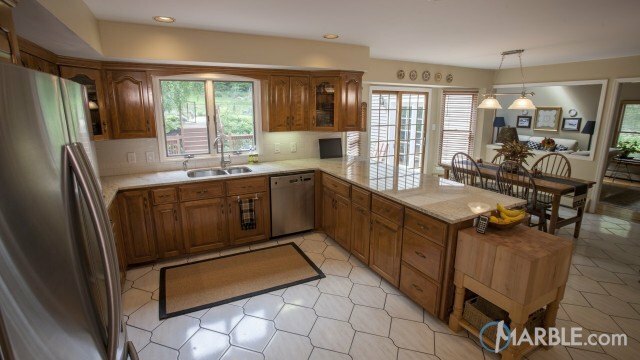 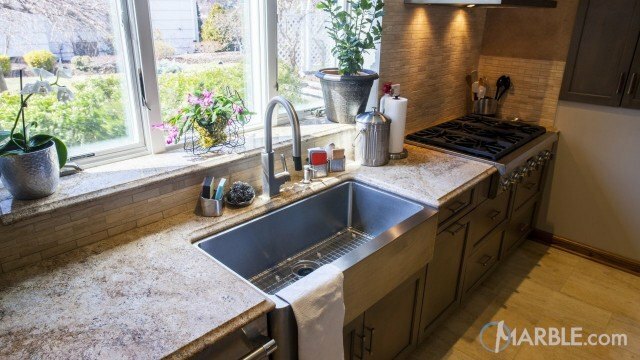 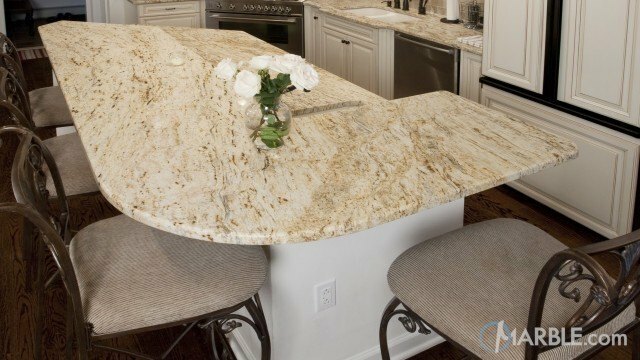 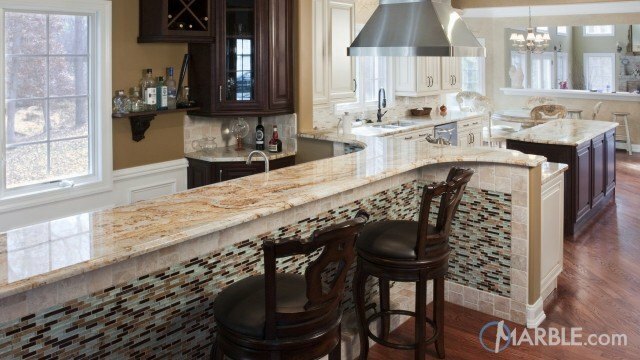 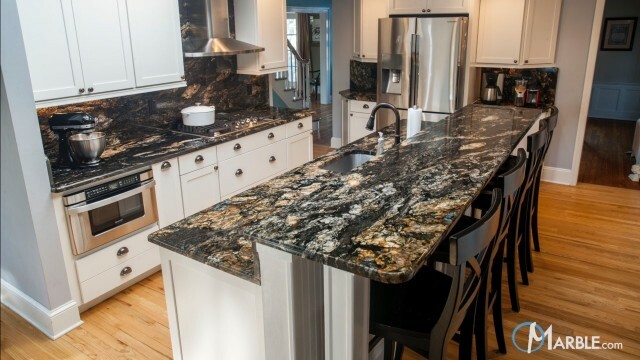 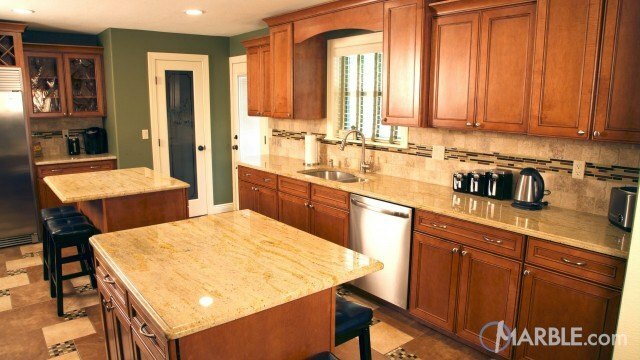 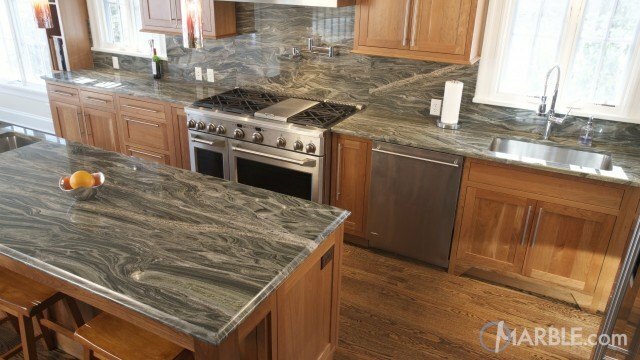 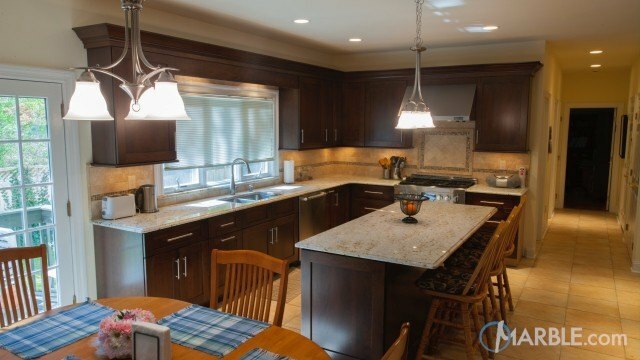 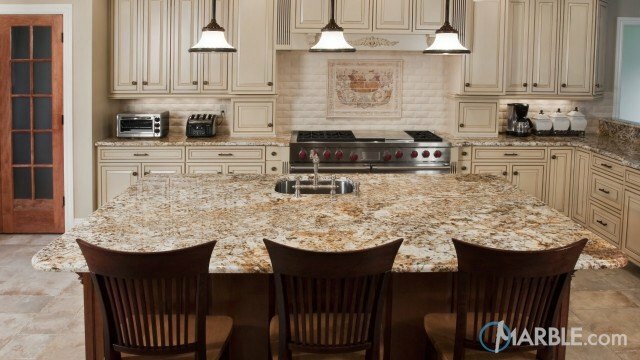 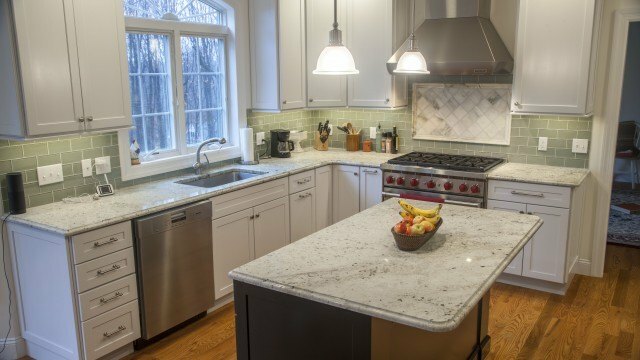 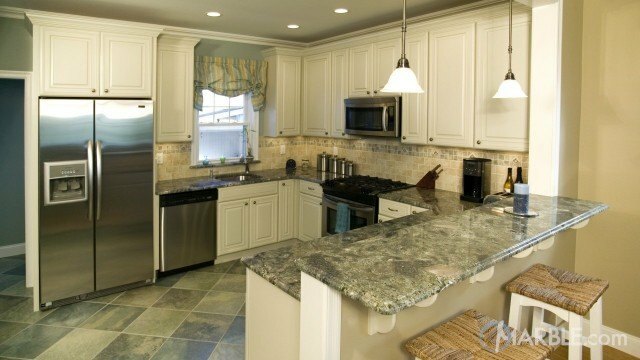 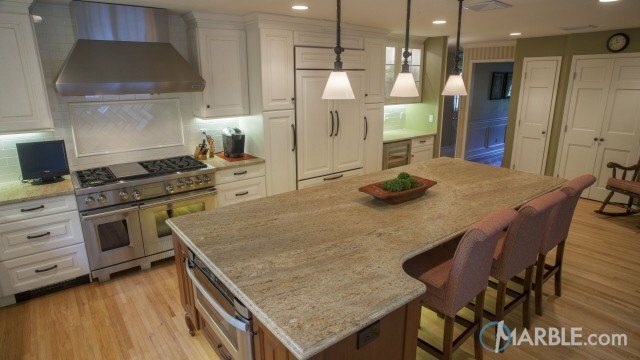 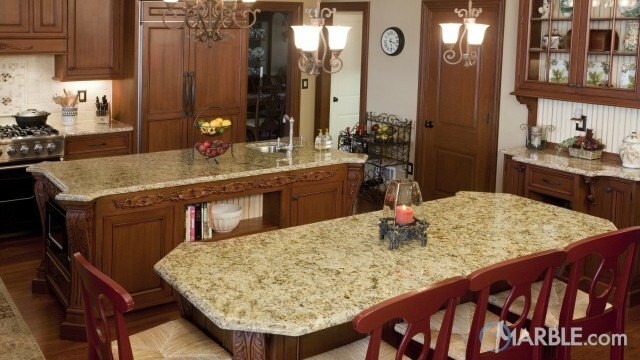 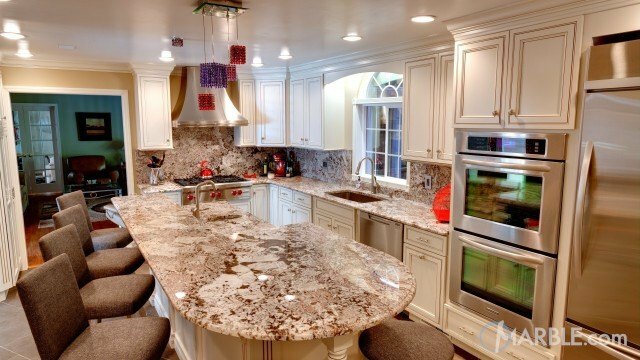 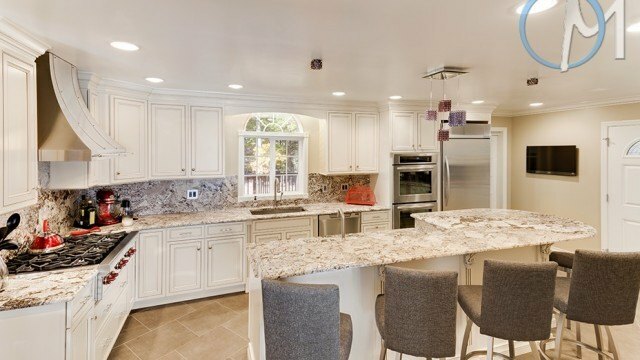 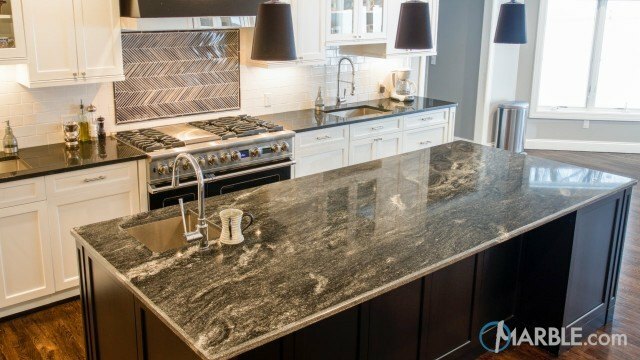 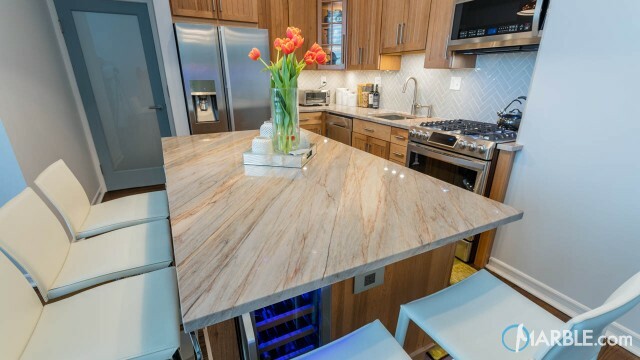 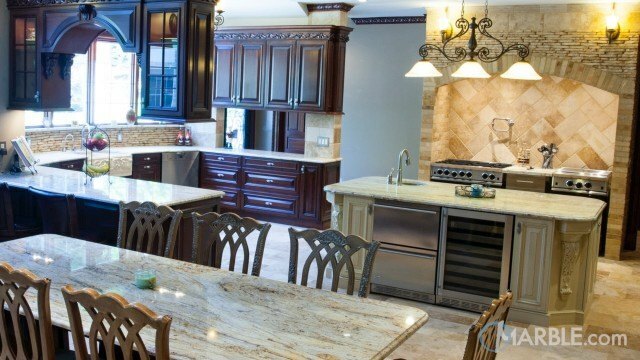 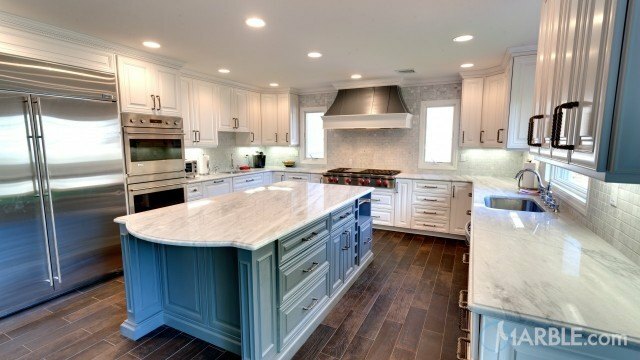 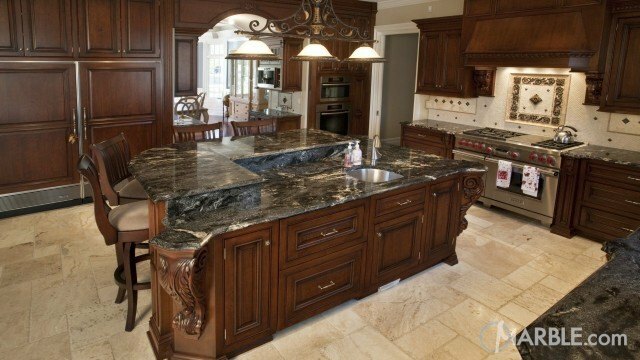 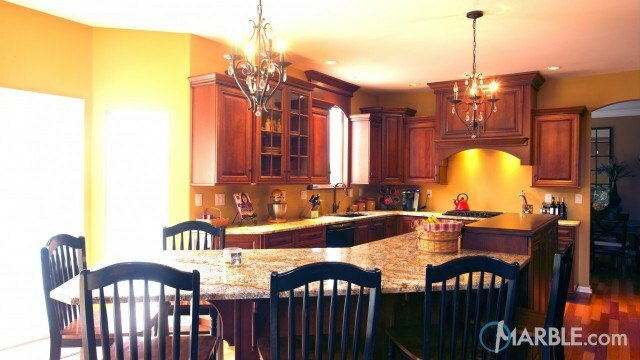 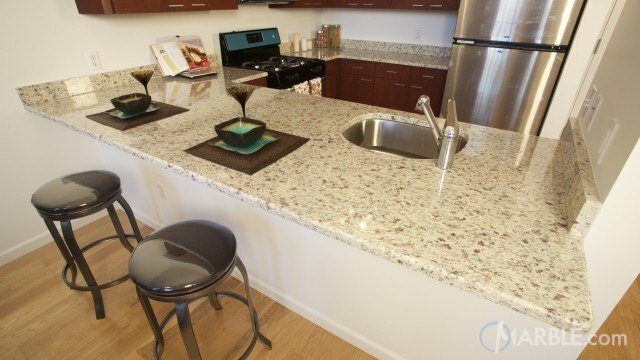 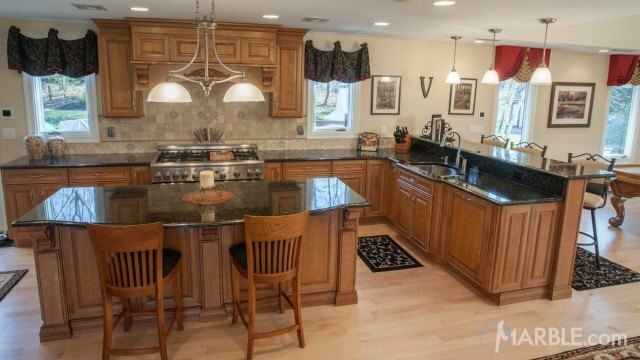 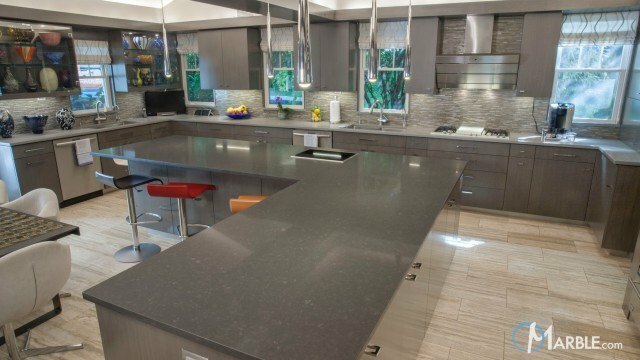 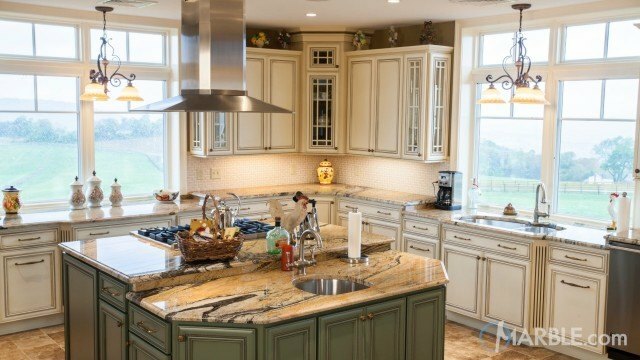 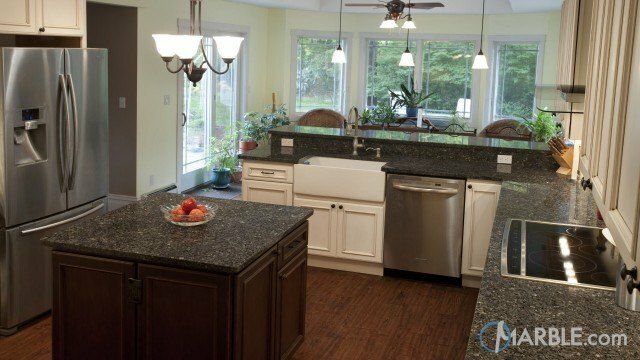 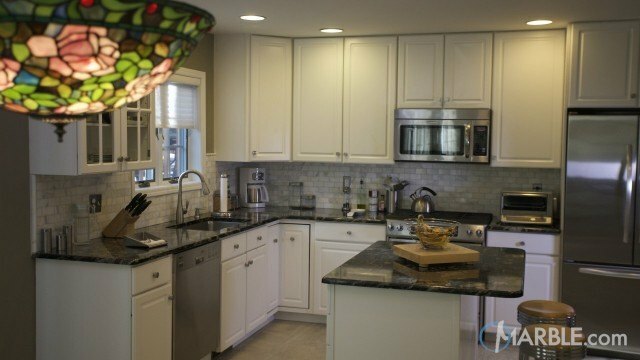 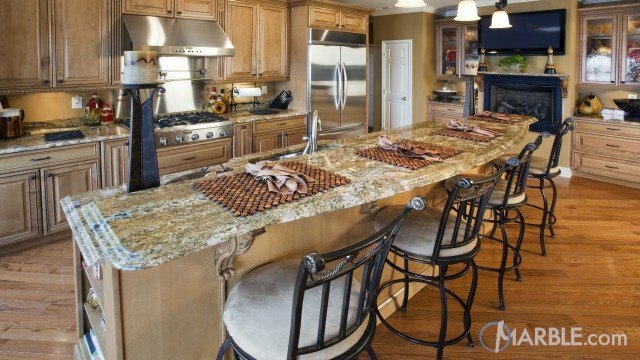 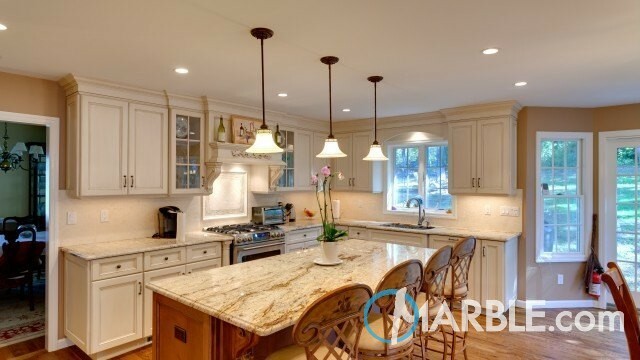 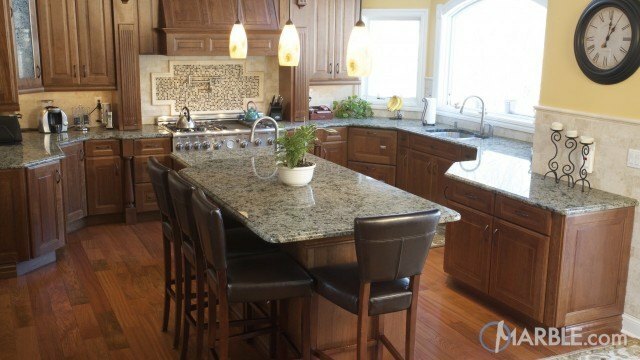 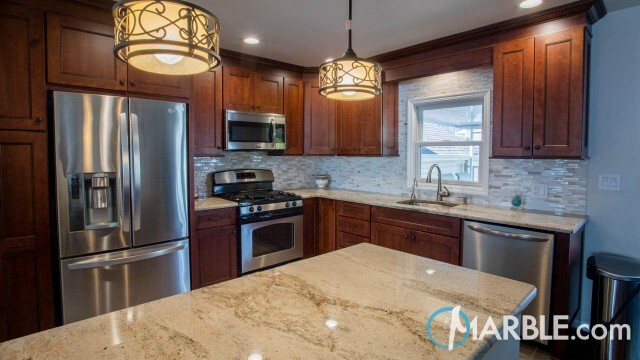 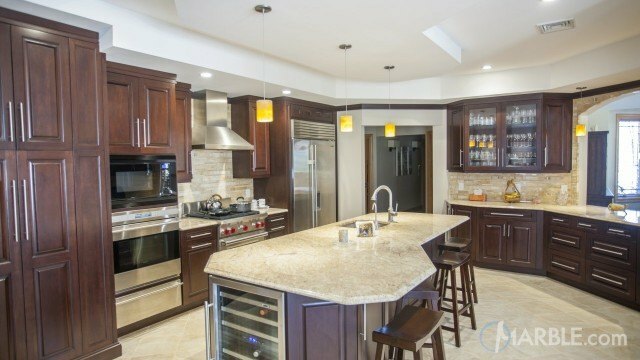 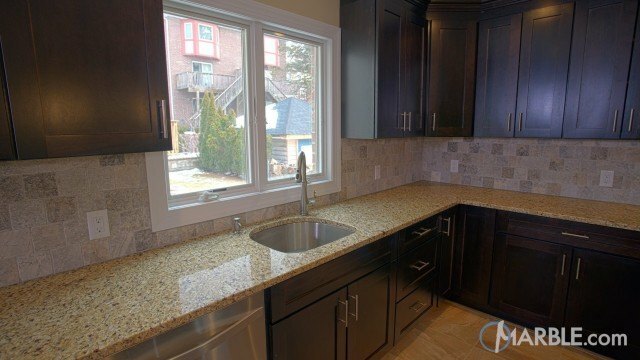 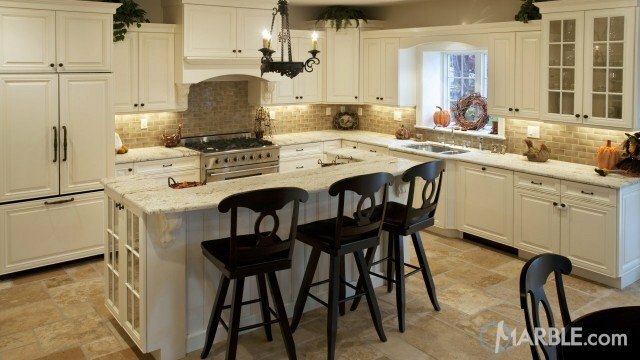 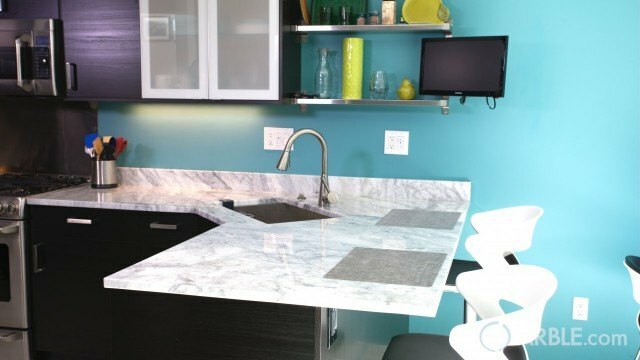 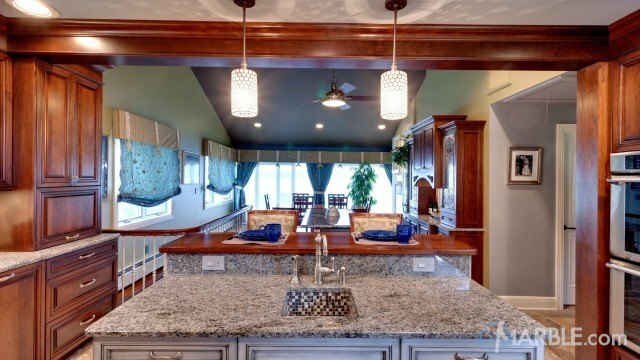 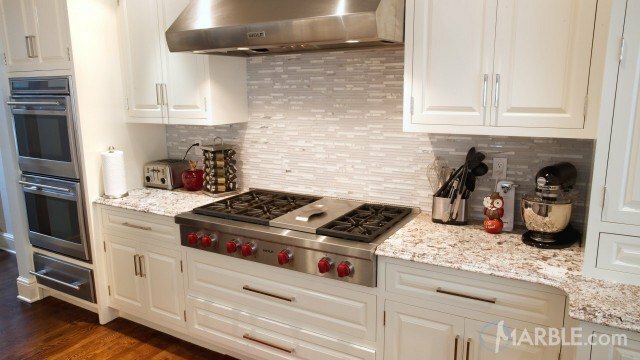 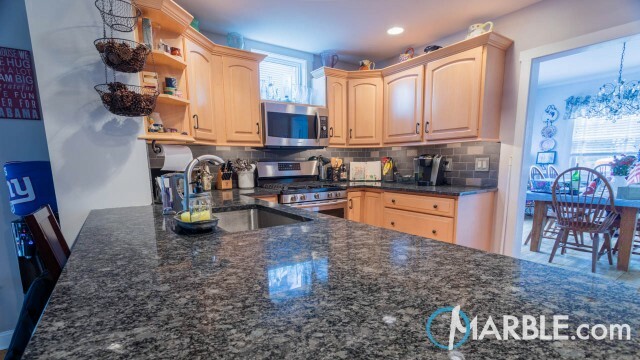 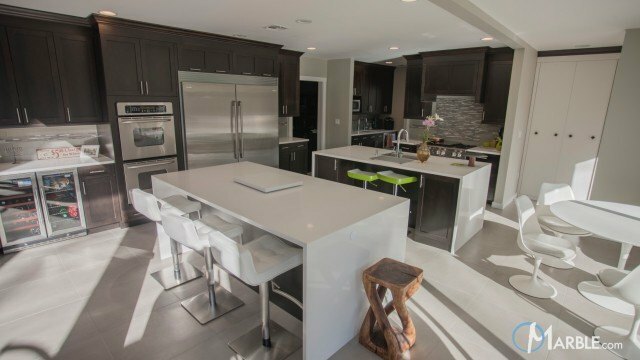 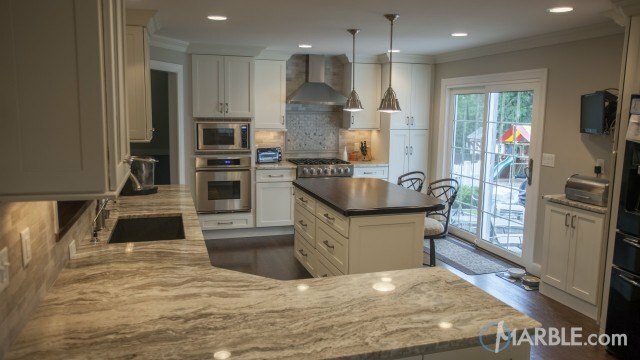 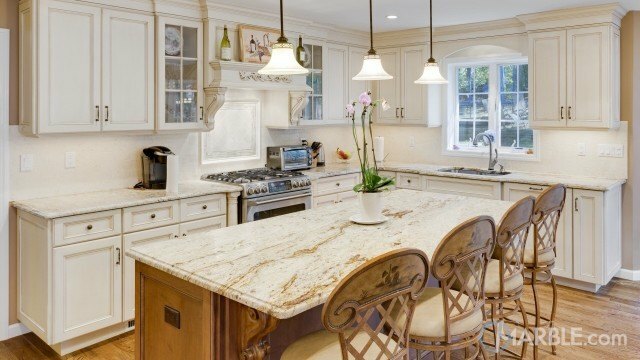 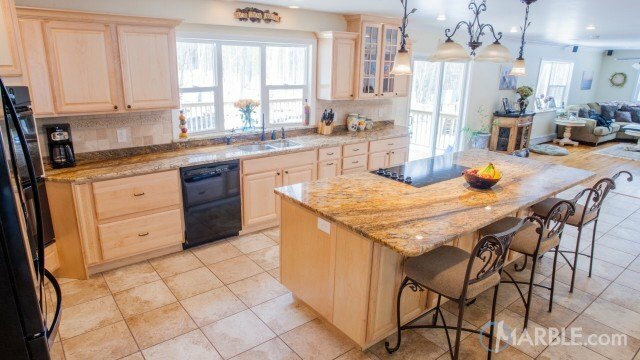 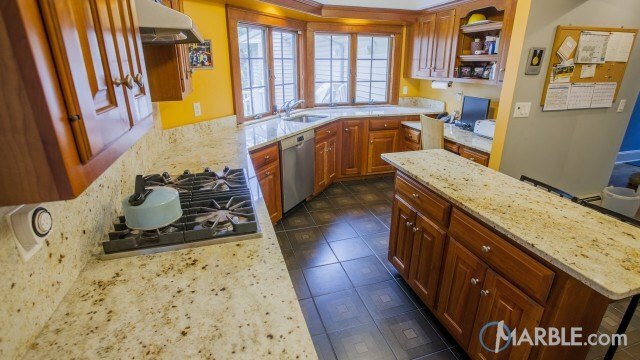 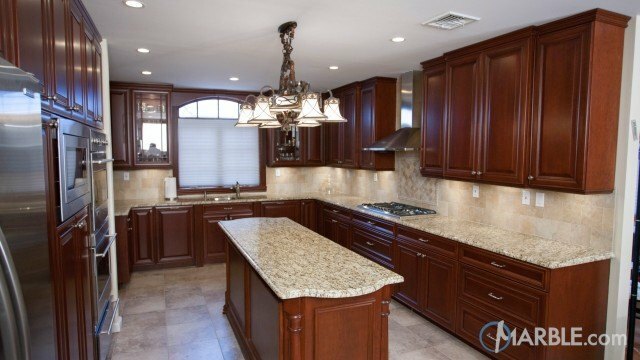 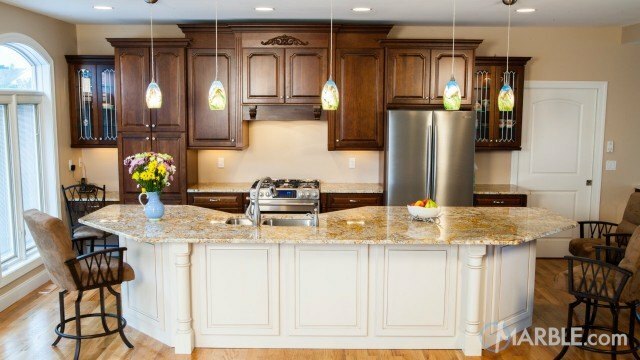 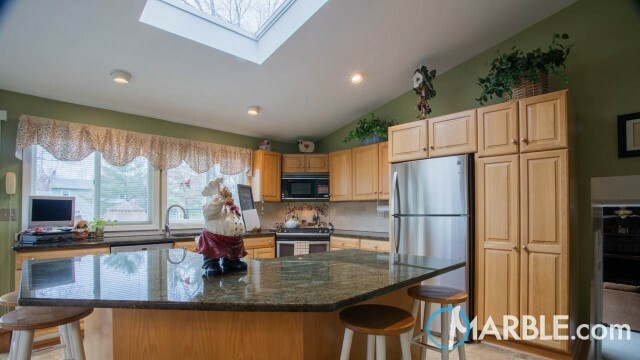 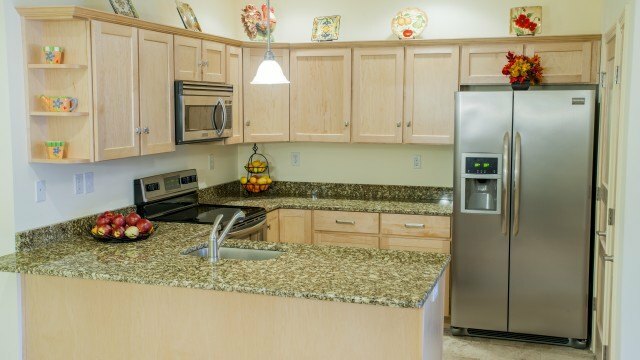 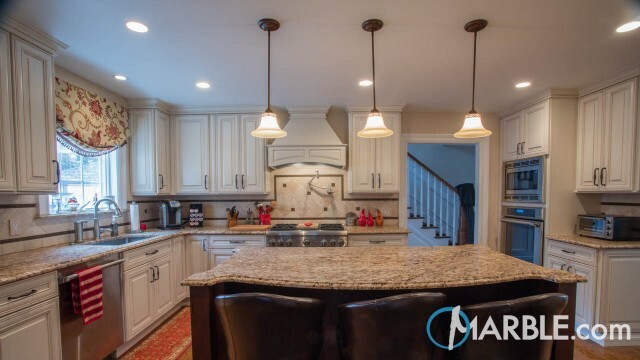 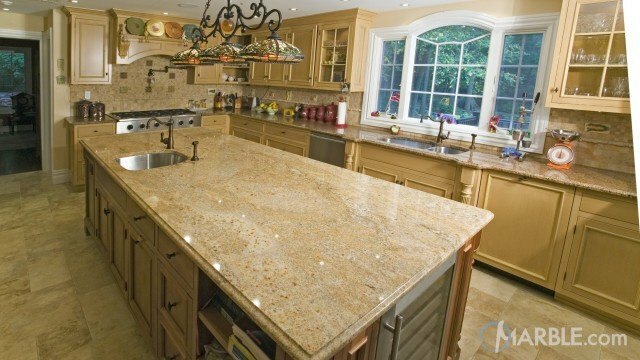 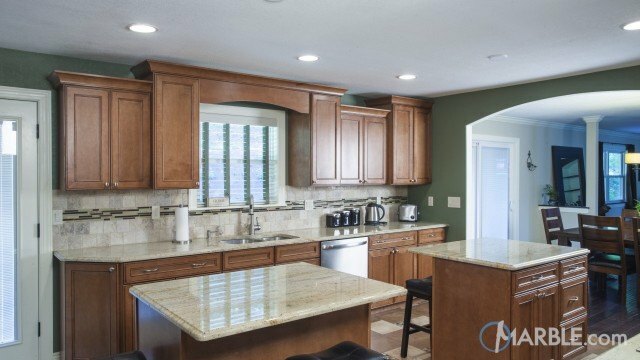 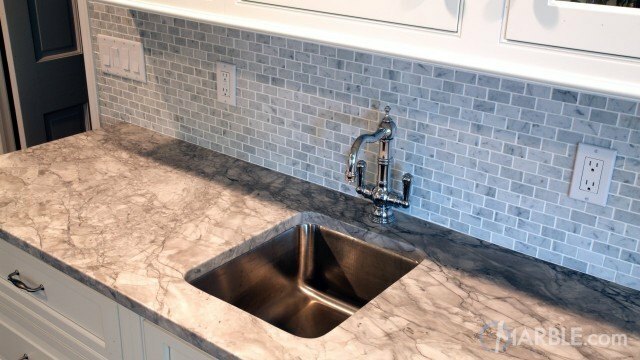 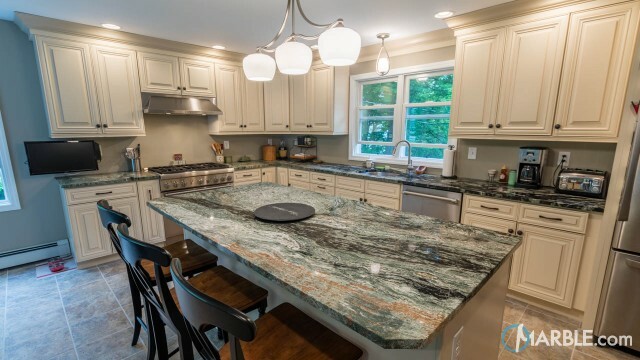 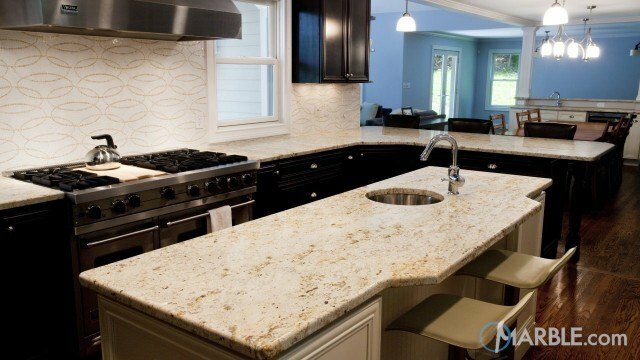 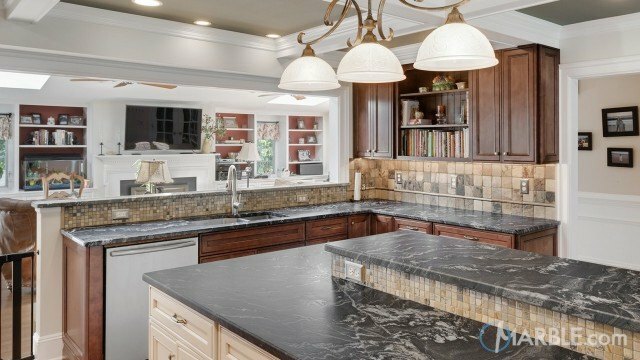 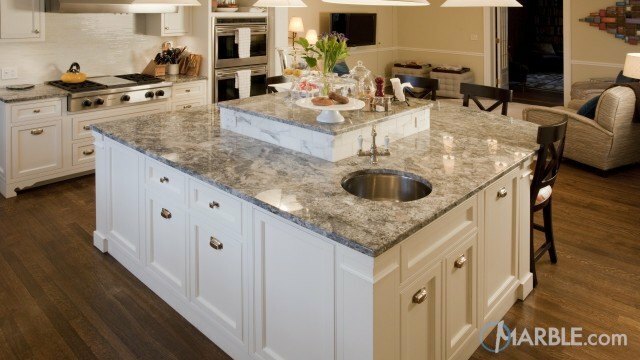 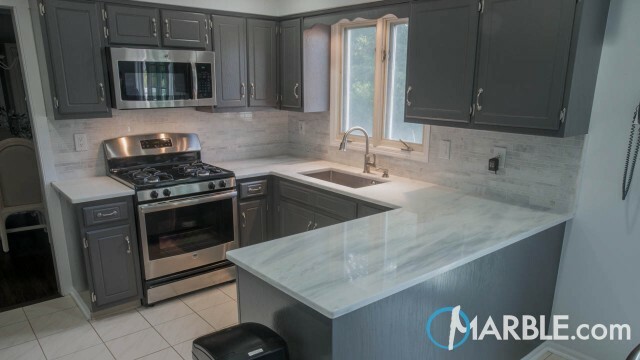 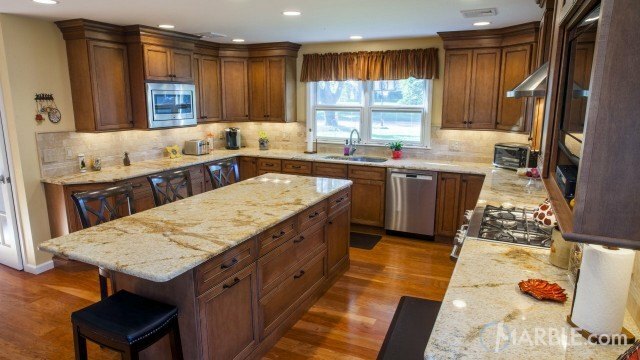 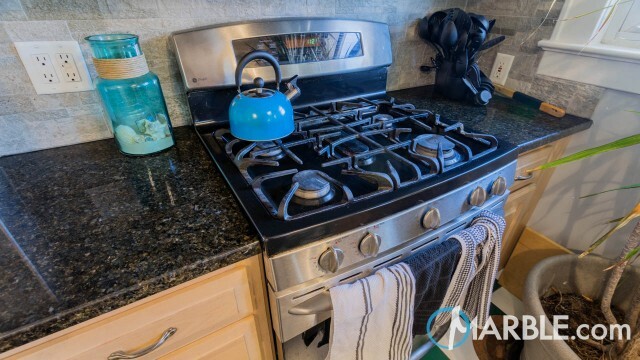 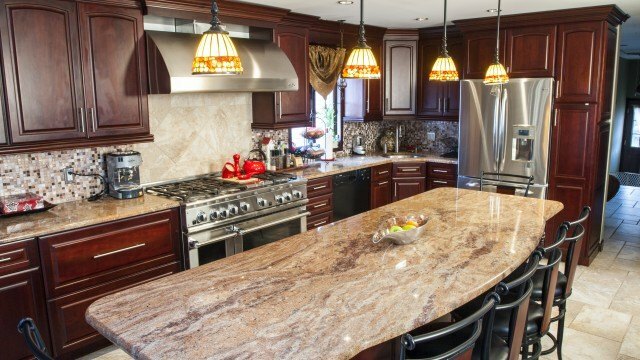 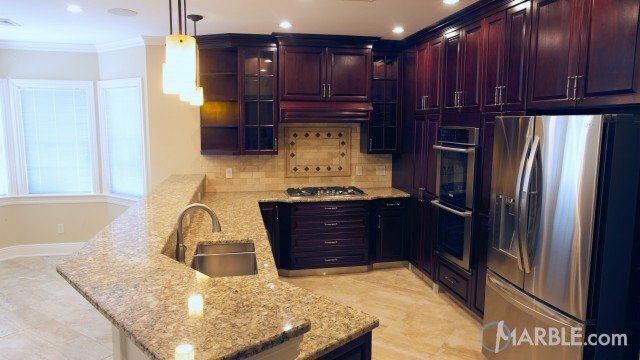 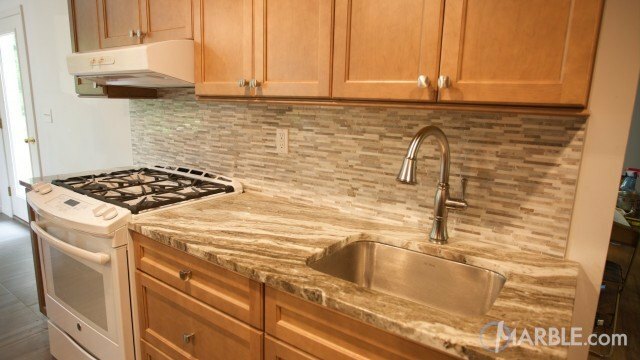 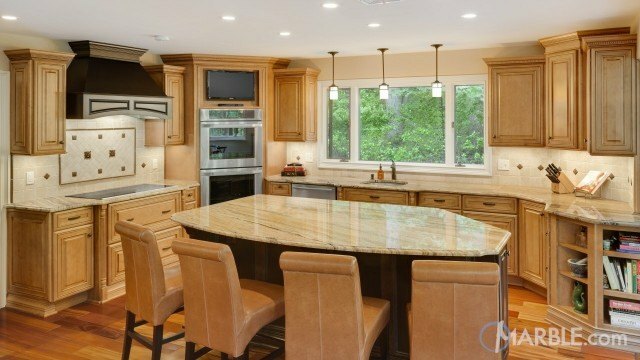 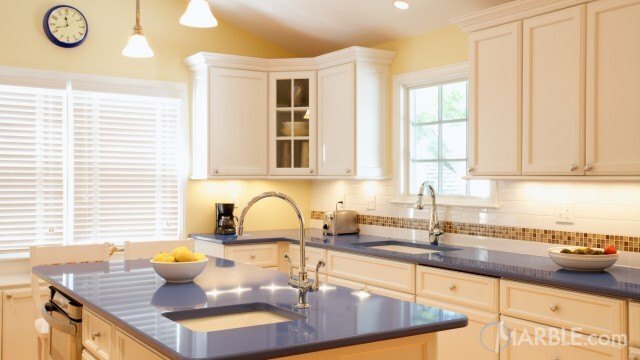 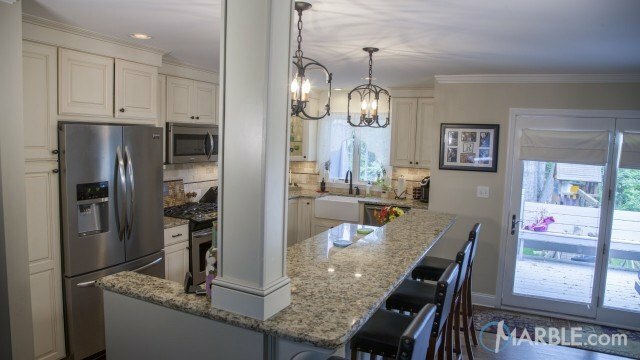 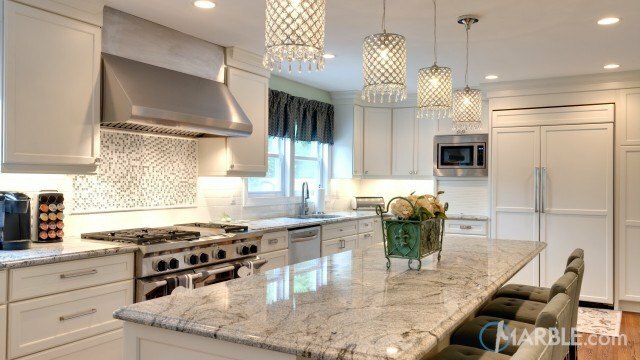 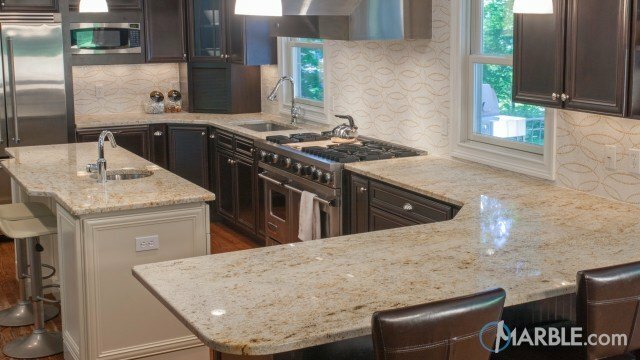 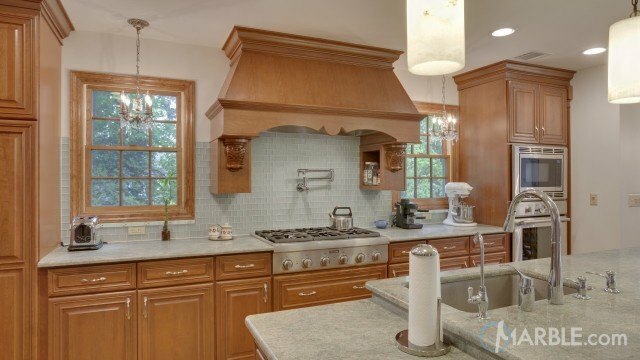 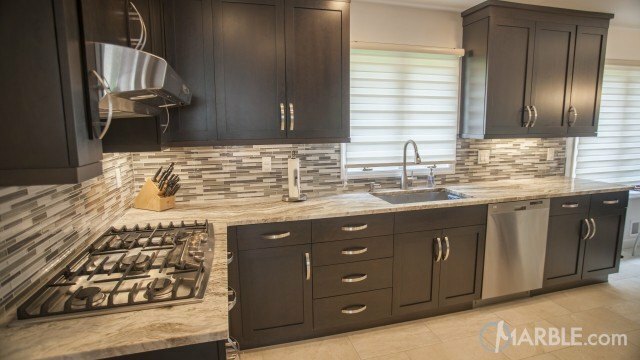 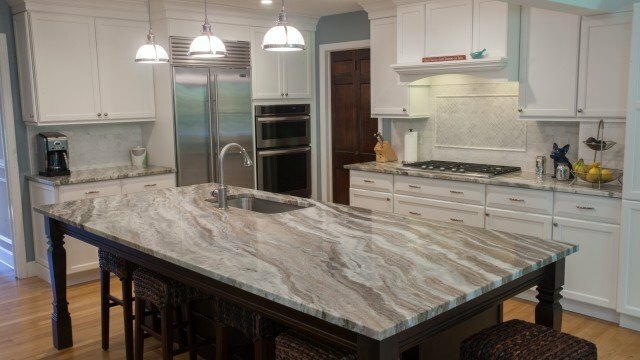 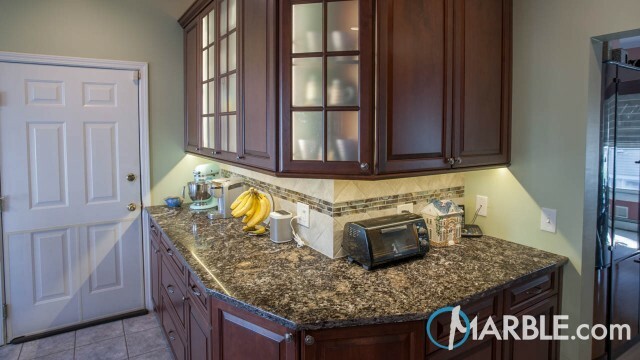 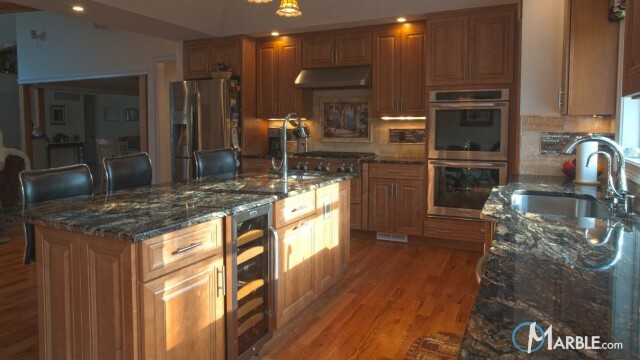 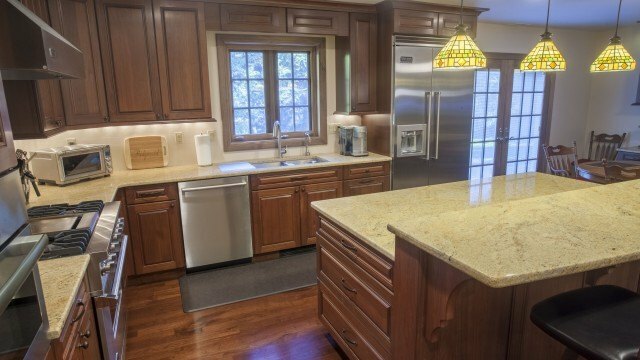 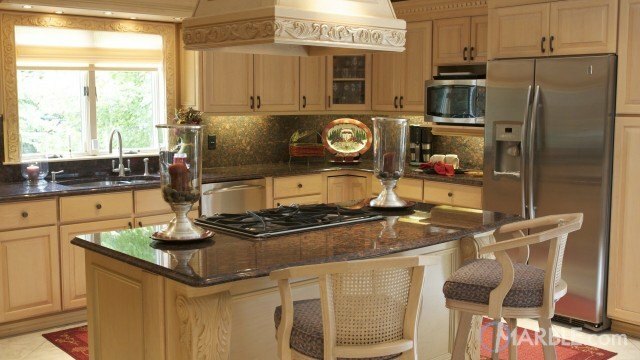 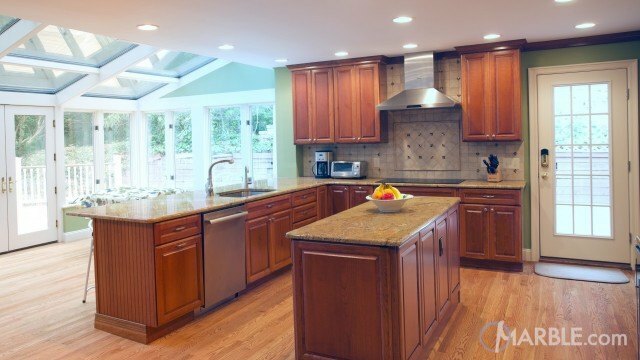 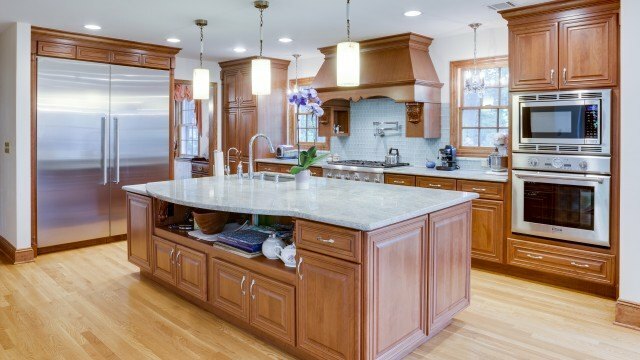 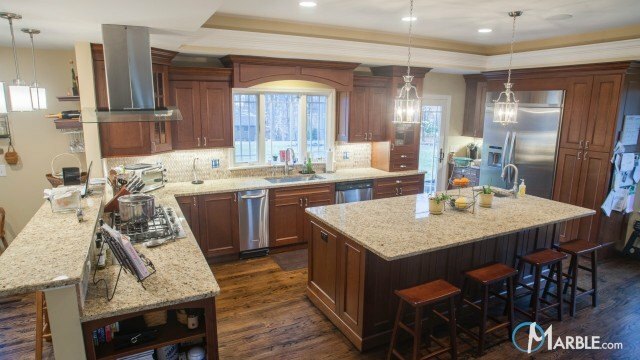 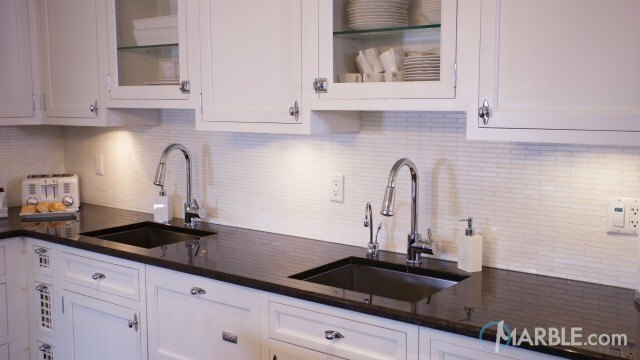 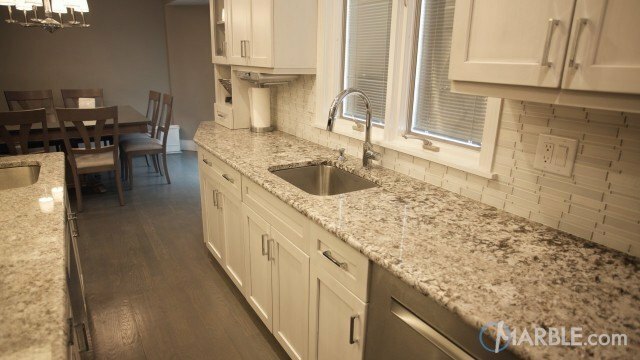 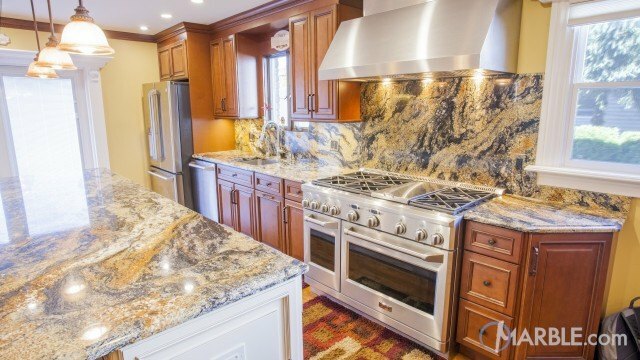 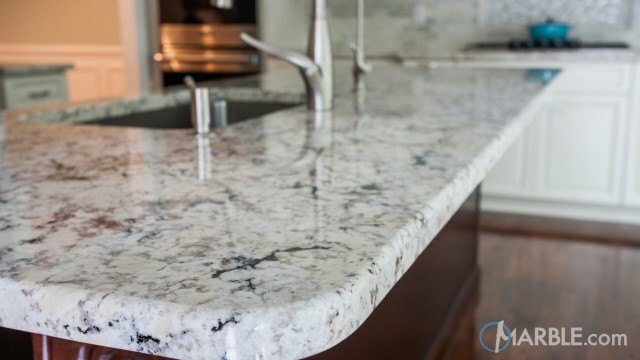 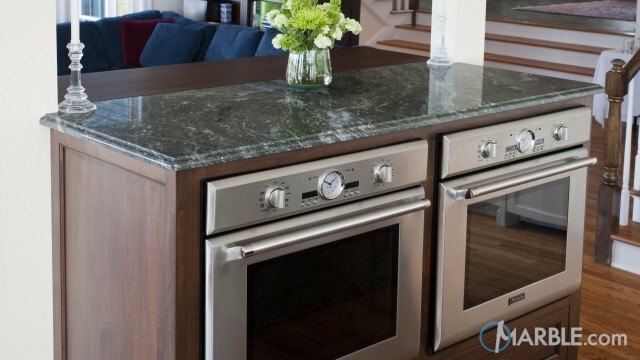 The fanlight and large windows throughout the house light up the kitchen, showing off this beautiful granite.